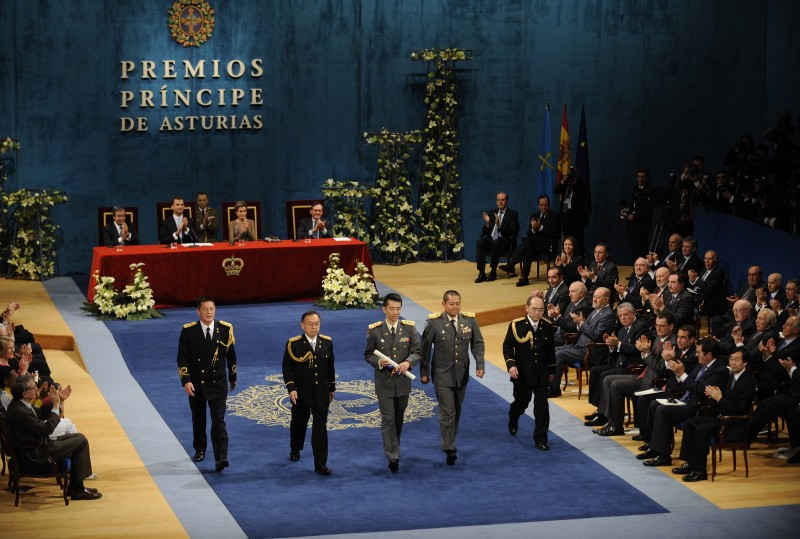 Presentation Ceremony T.R.H. 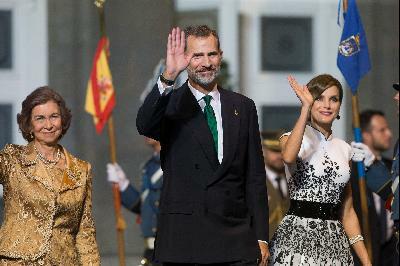 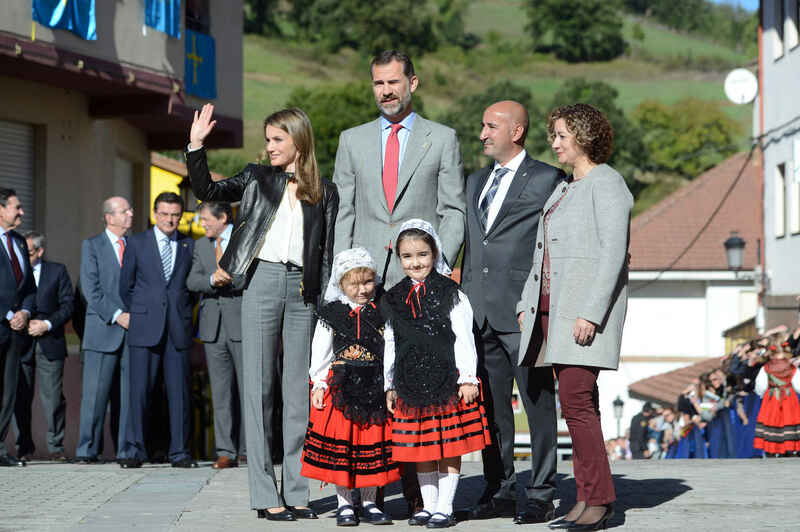 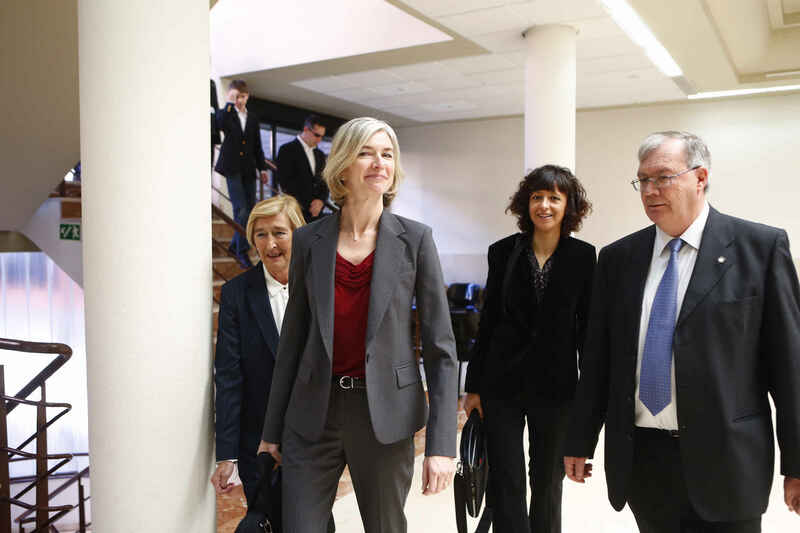 the Prince and Princess of Asturias and H.M. the Queen arrive at the Campoamor Theatre. 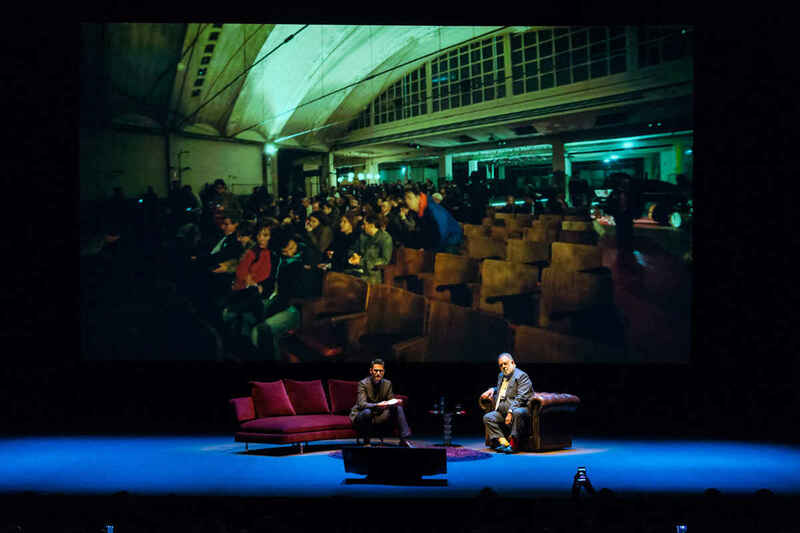 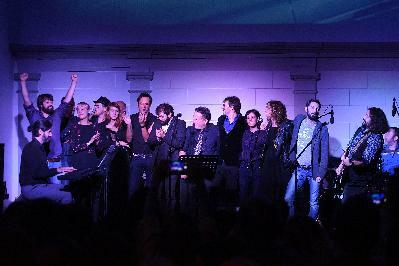 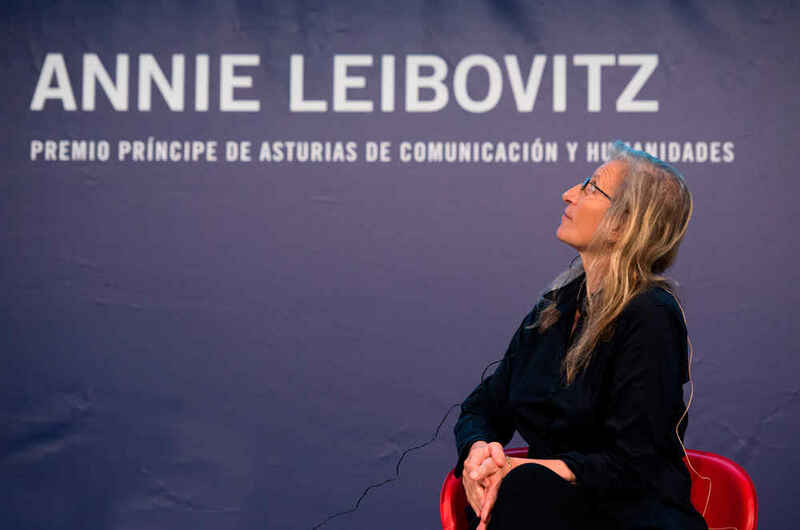 Presentation Ceremony Leonard Cohen on his arrival at the Campoamor Theatre. 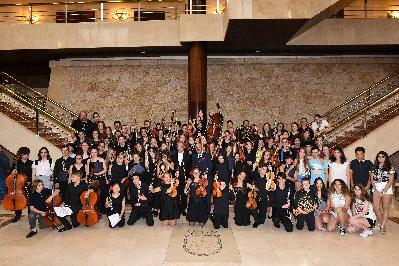 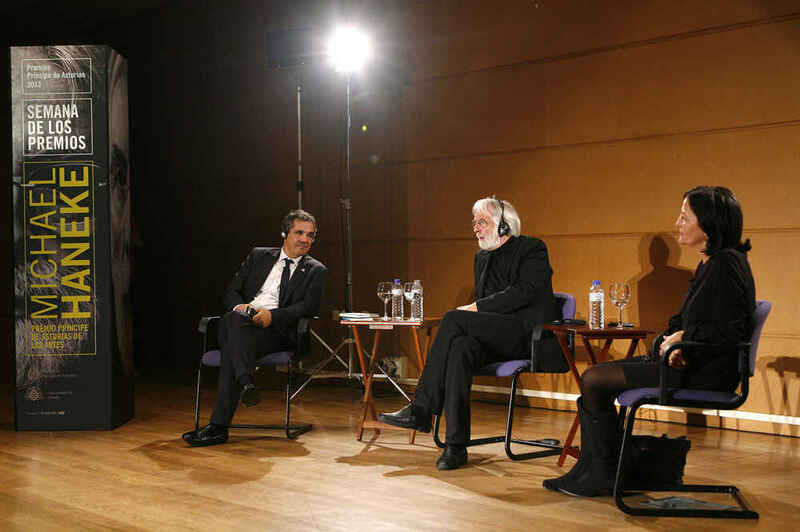 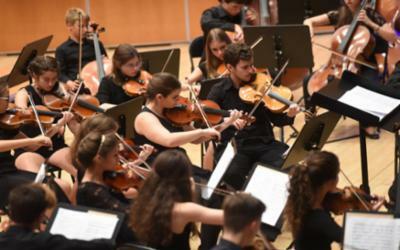 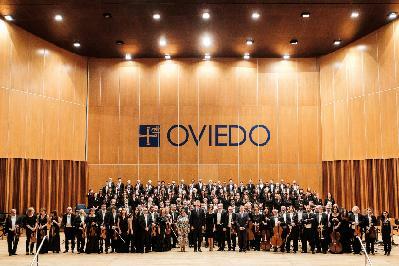 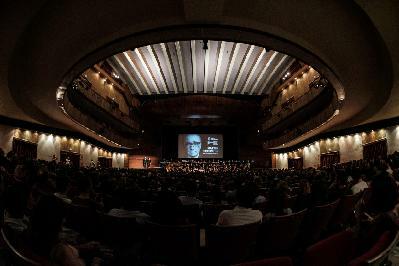 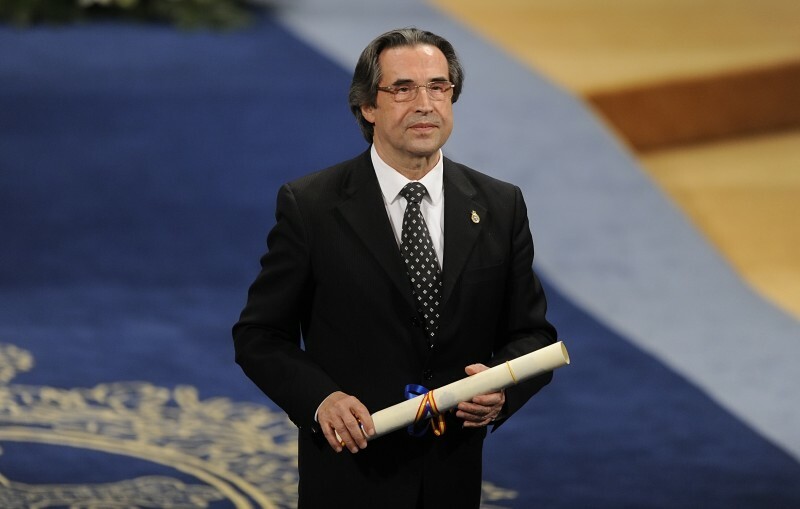 Presentation Ceremony Riccardo Muti on his arrival at the Campoamor Theatre. 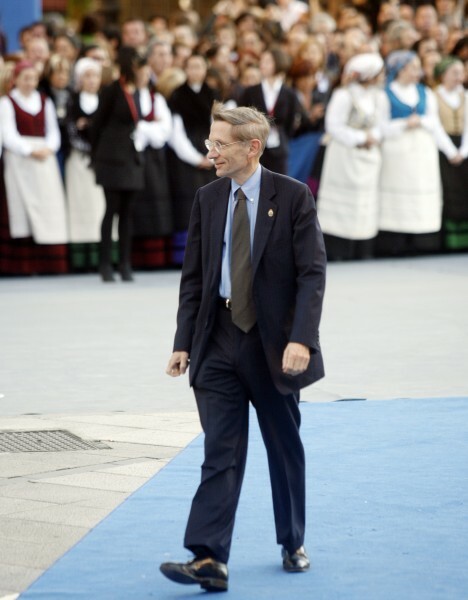 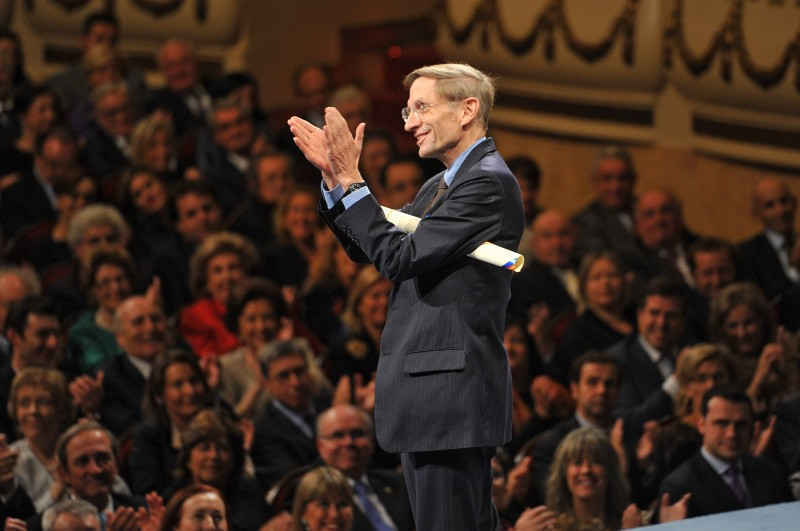 Presentation Ceremony Bill Drayton on his arrival at the Campoamor Theatre. 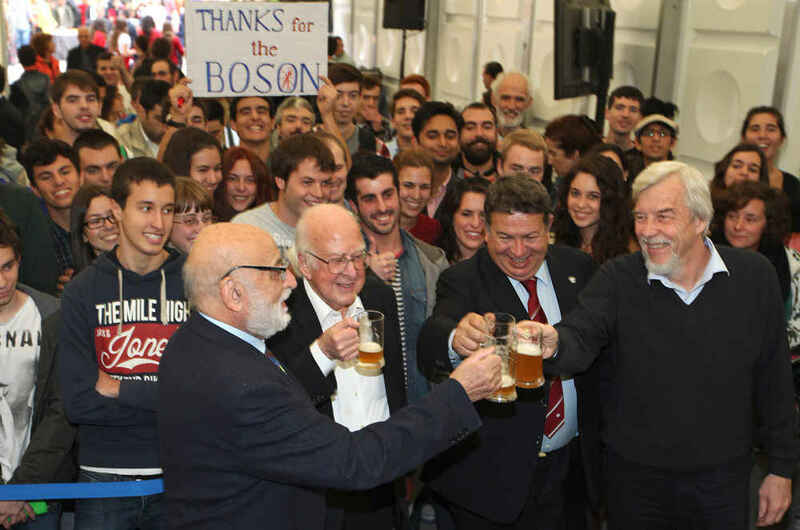 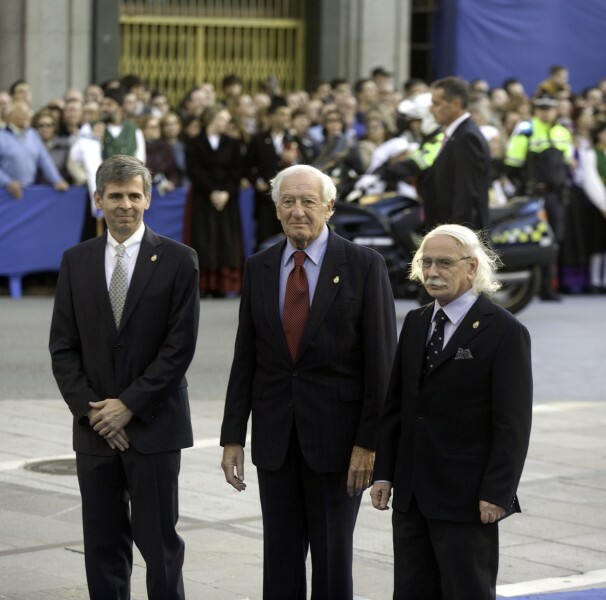 Presentation Ceremony Arturo Álvarez-Buylla, Joseph Altman and Giacomo Rizzolatti on their arrival at the Campoamor Theatre. 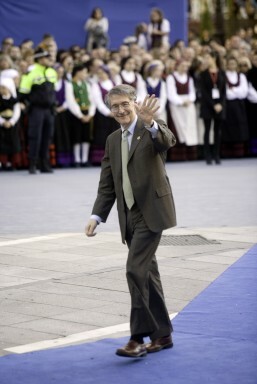 Presentation Ceremony Howard Gardner on his arrival at the Campoamor Theatre. 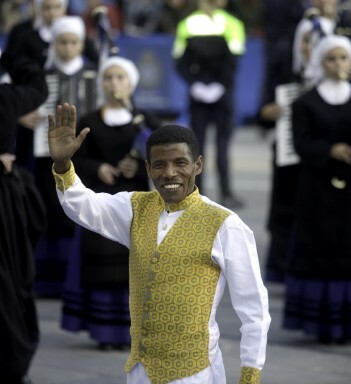 Presentation Ceremony Haile Gebrselassie on his arrival at the Campoamor Theatre. 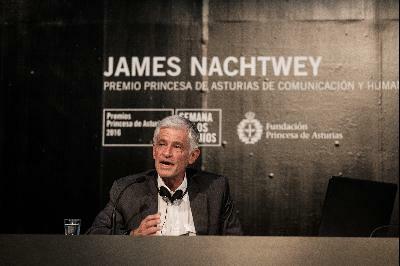 Presentation Ceremony Julie Maxton and Sir Paul Nurse, Executive Director and President of The Royal Society, on their arrival at the Campoamor Theatre. 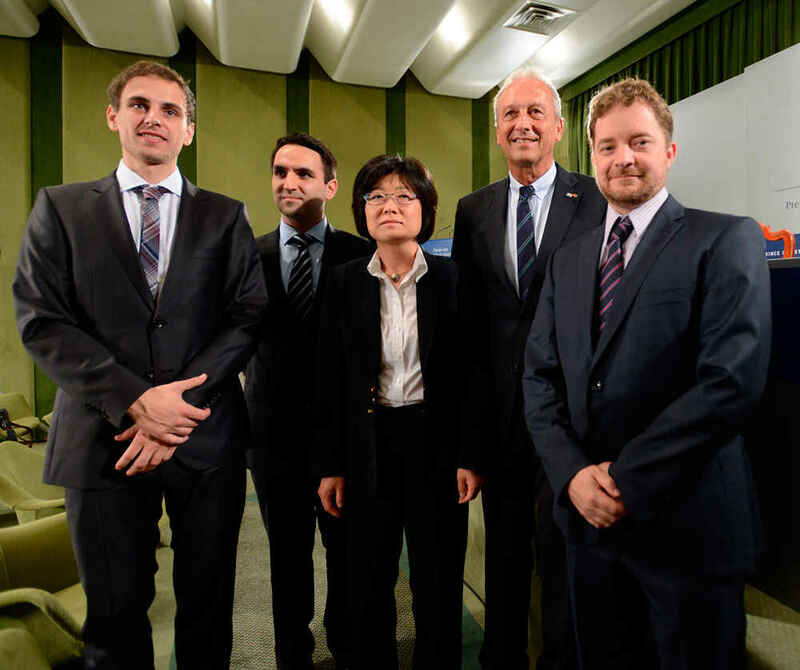 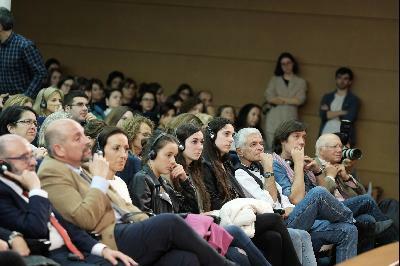 Presentation Ceremony Members of the "Heroes of Fukushima" delegation arriving at the Campoamor Theatre. 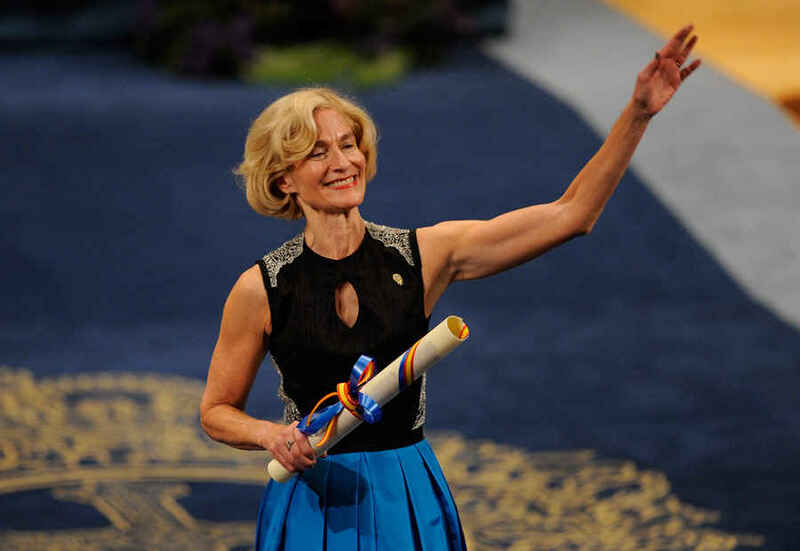 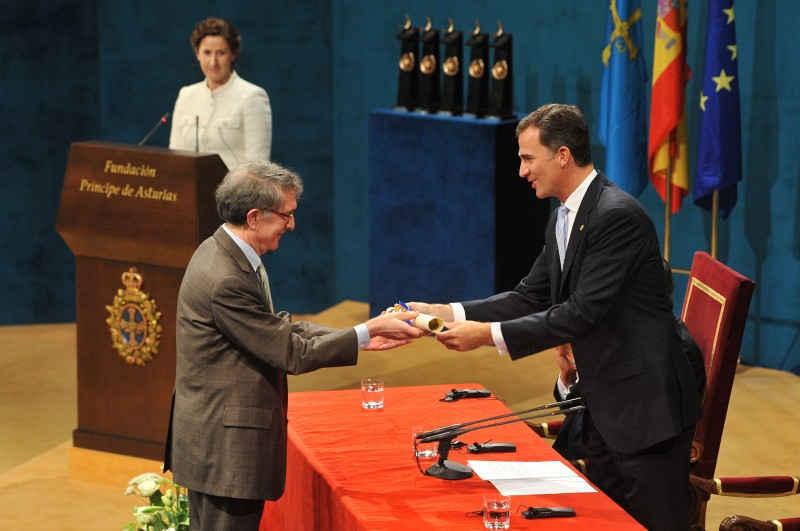 Presentation Ceremony Howard Gardner receiving the Prince of Asturias Award for Social Sciences. 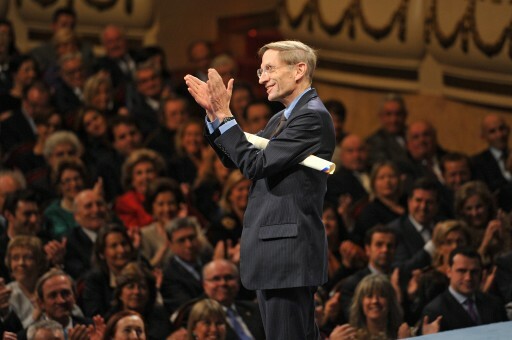 Presentation Ceremony Bill Drayton acknowledging the audience after receiving the Prince of Asturias Award for International Cooperation. 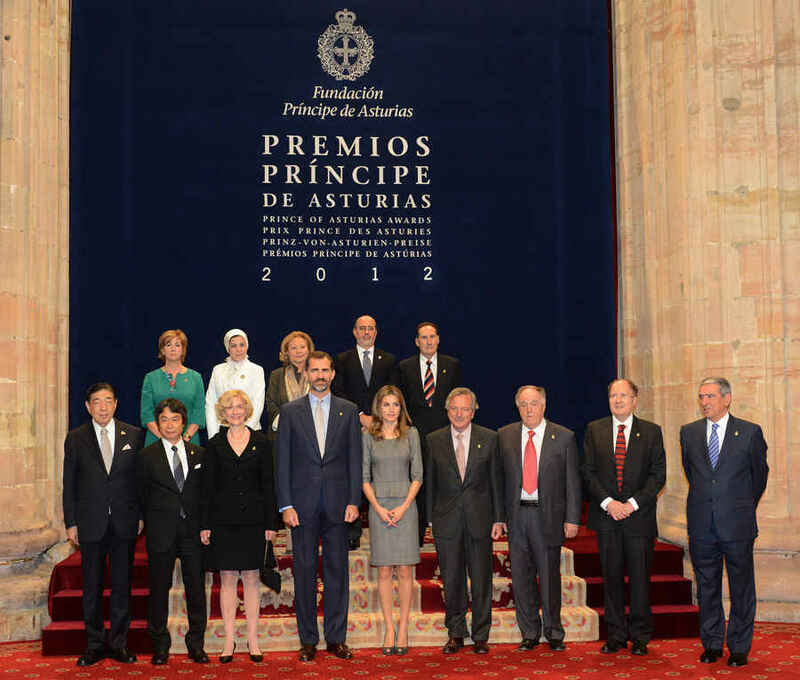 Presentation Ceremony The "Heroes of Fukushima" delegation at the moment when they received the Prince of Asturias Award for Concord. 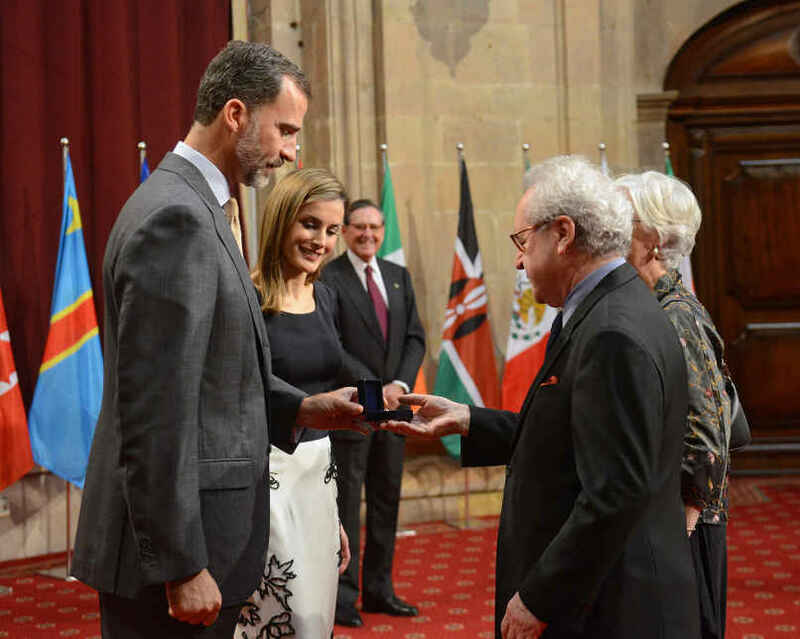 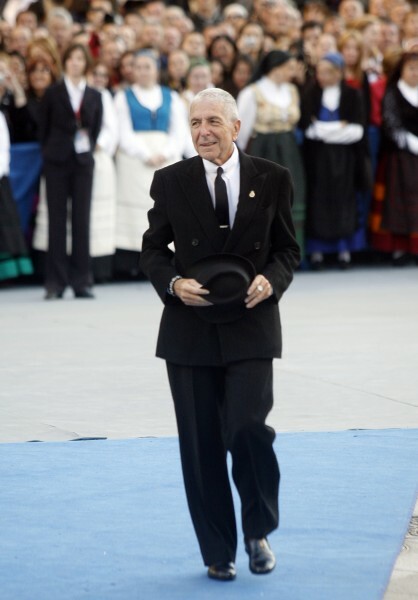 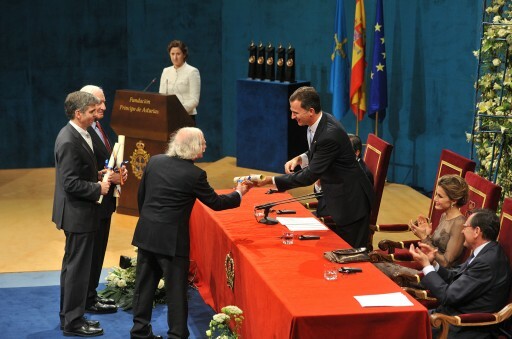 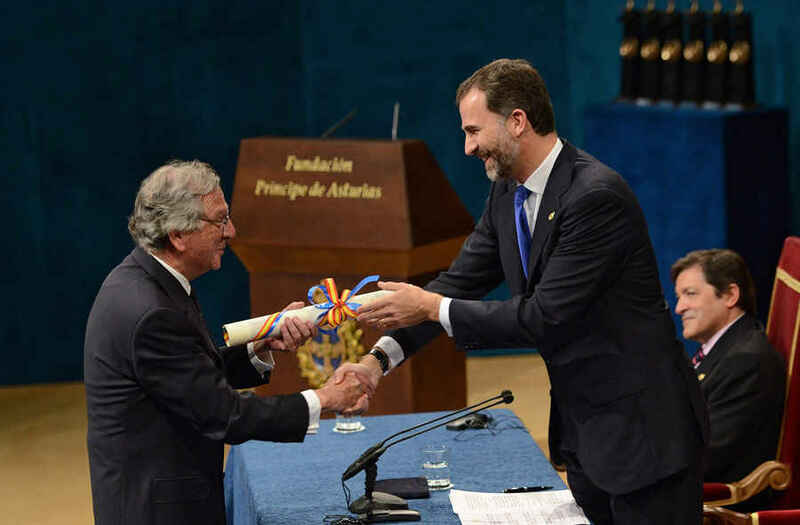 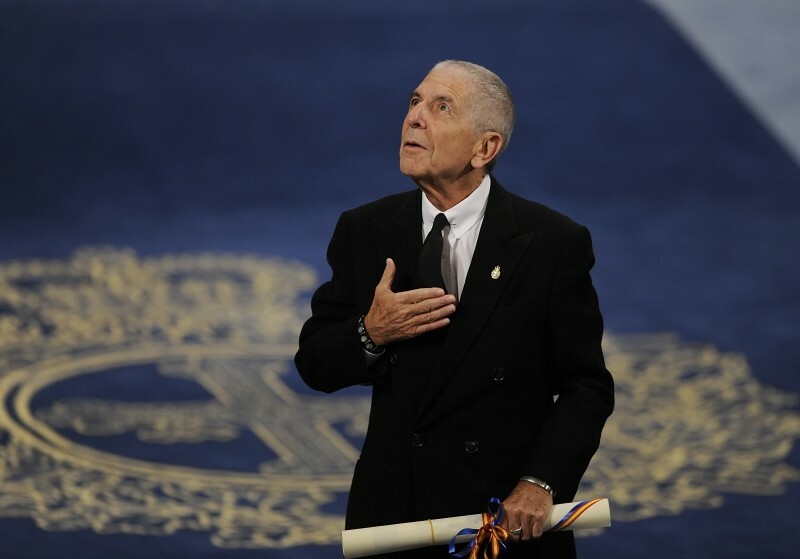 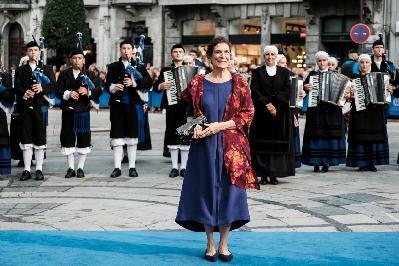 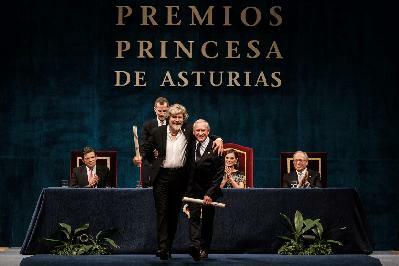 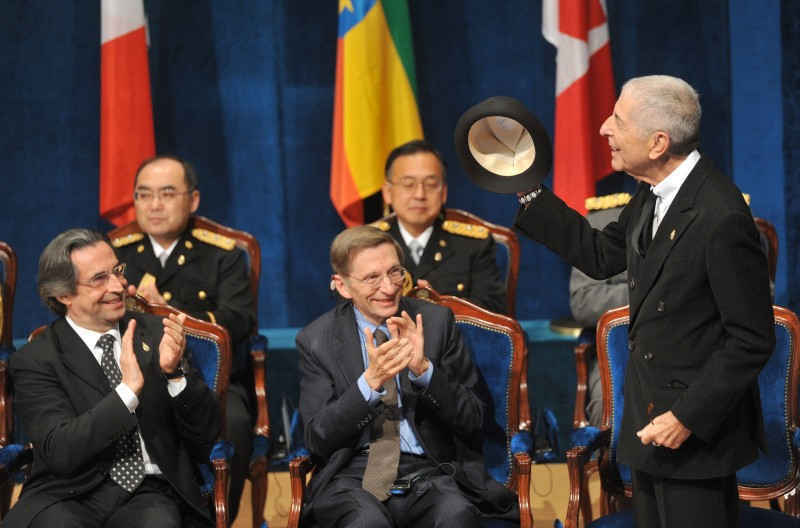 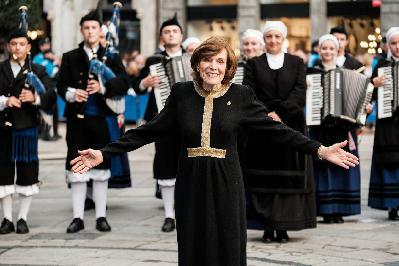 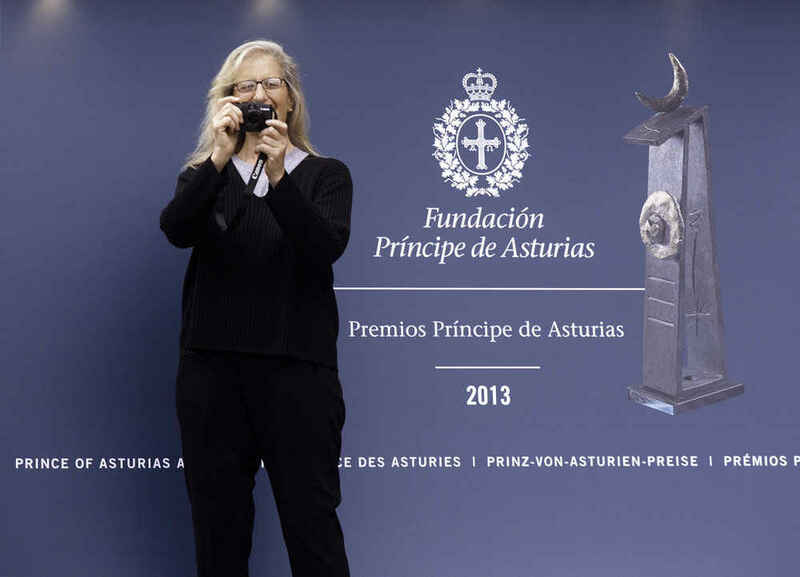 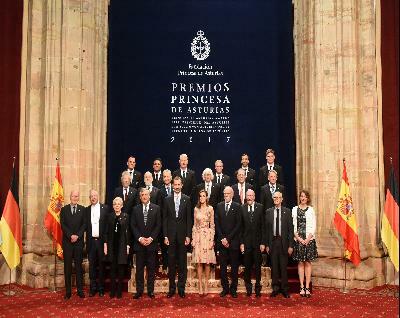 Presentation Ceremony Leonard Cohen, after receiving the Prince of Asturias Award for Literature. 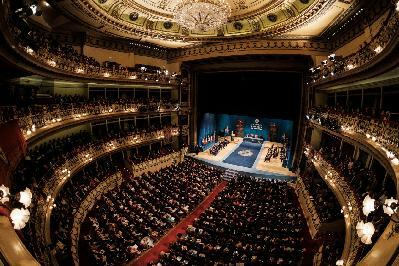 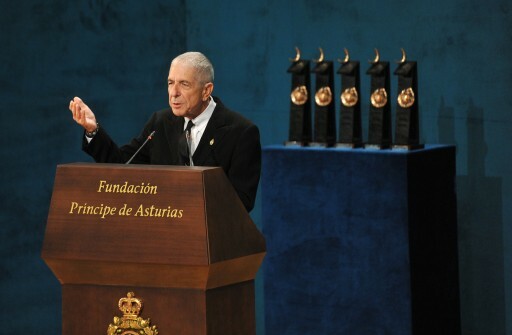 Presentation Ceremony Leonard Cohen, Prince of Asturias Award for Literature, during the ceremony. 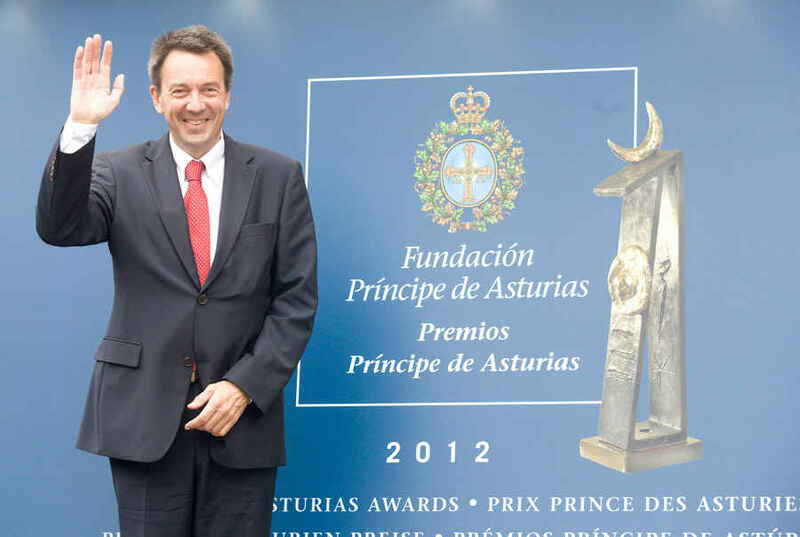 Presentation Ceremony T.R.H. 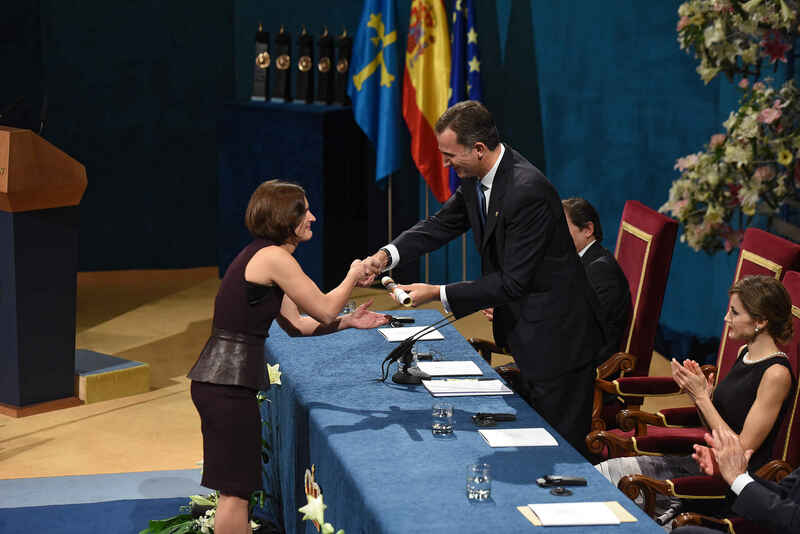 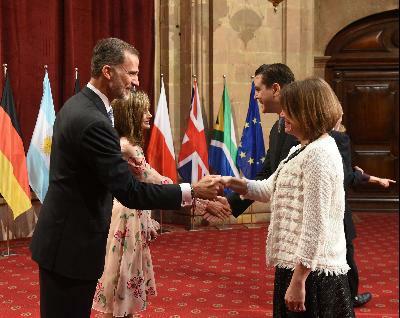 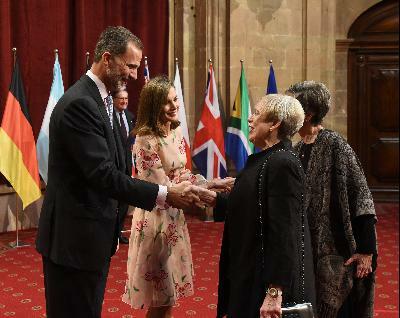 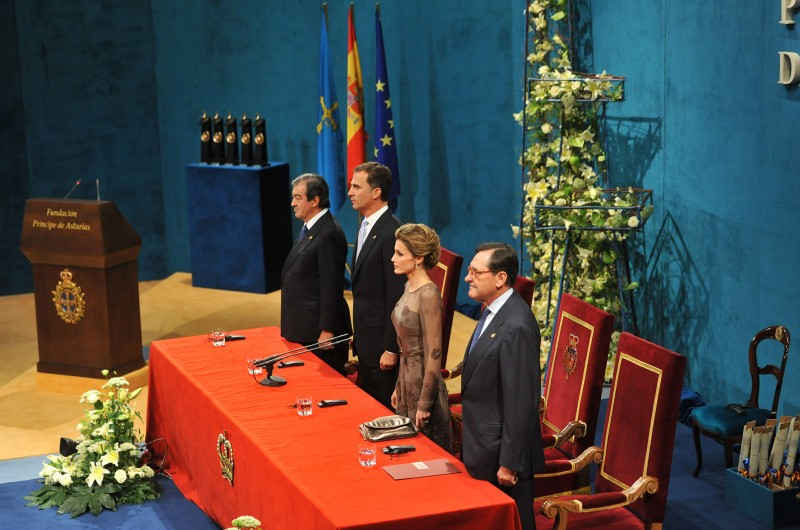 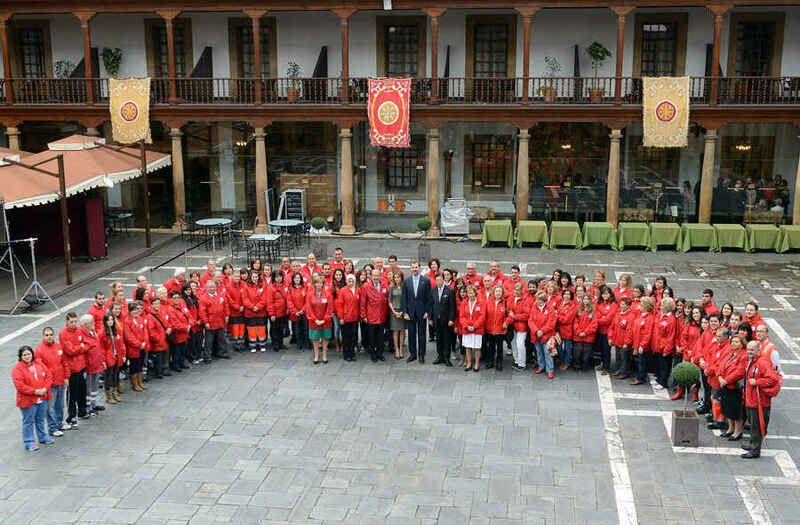 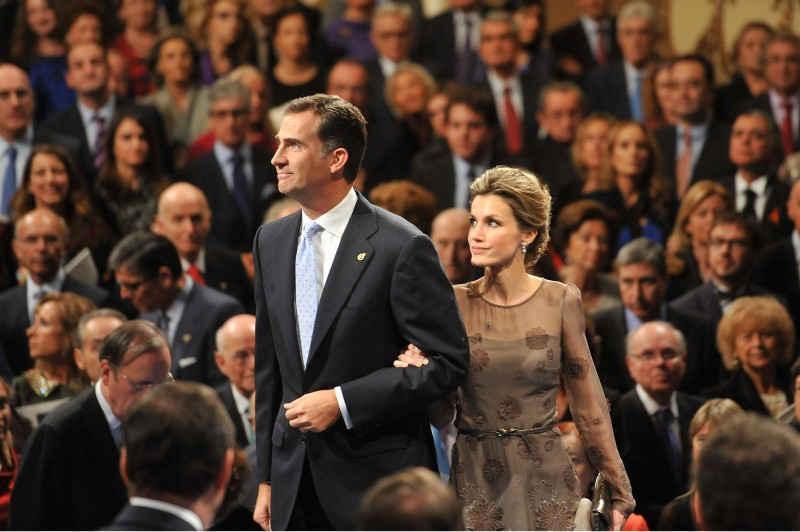 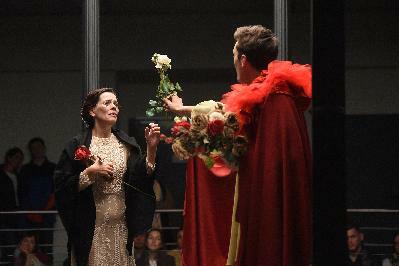 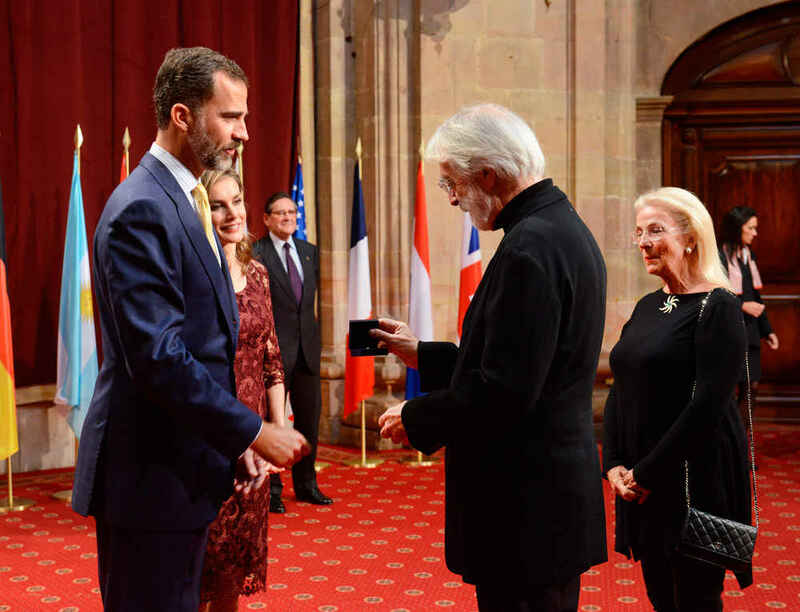 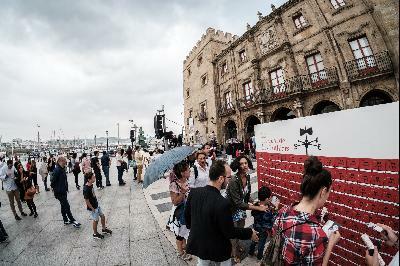 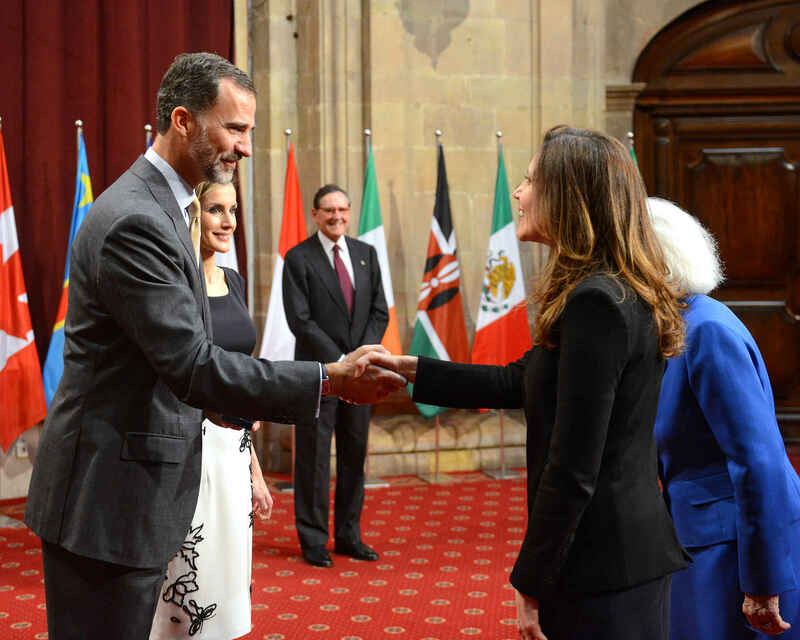 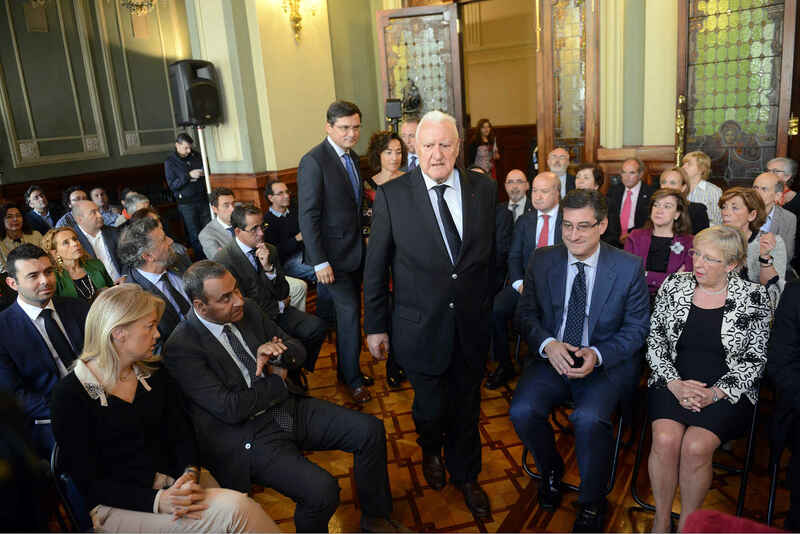 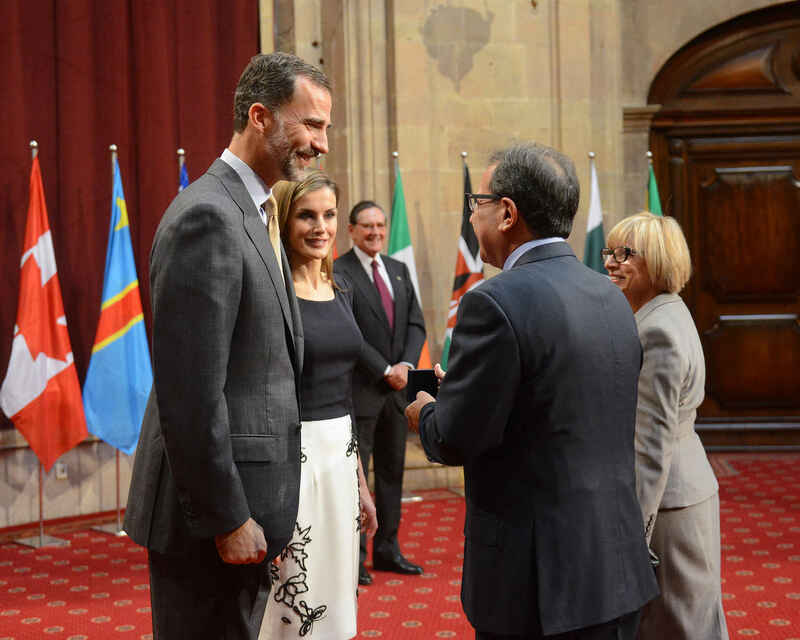 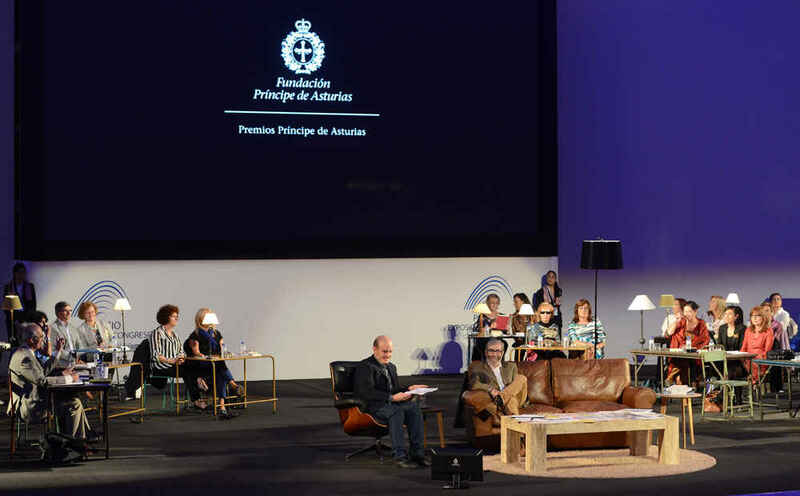 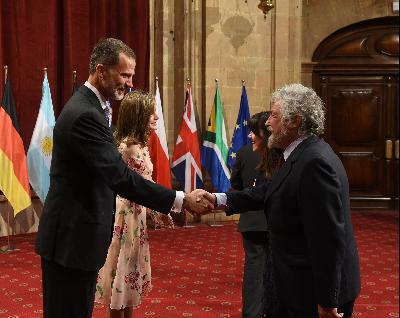 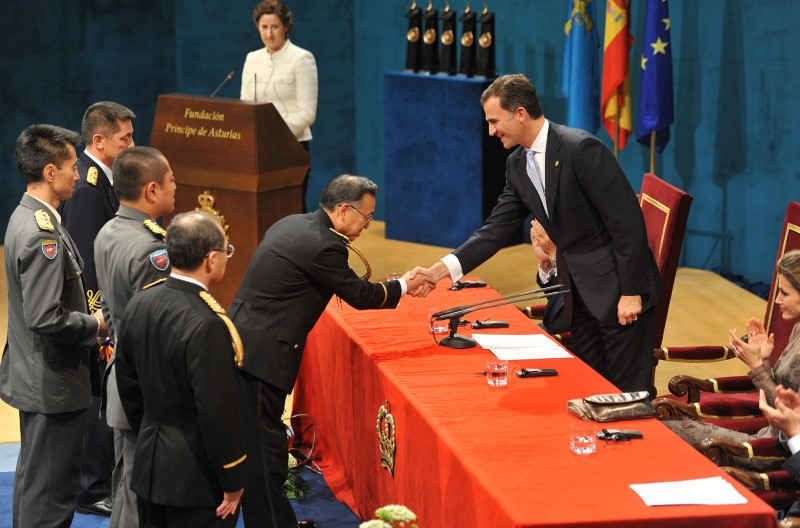 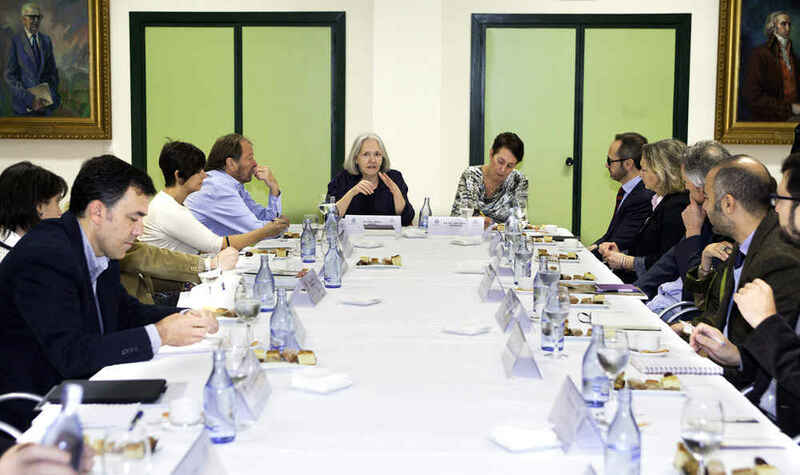 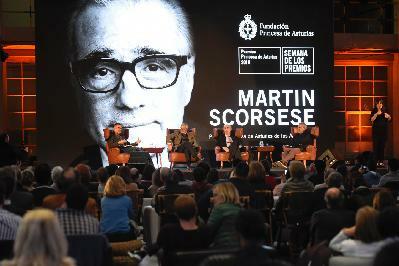 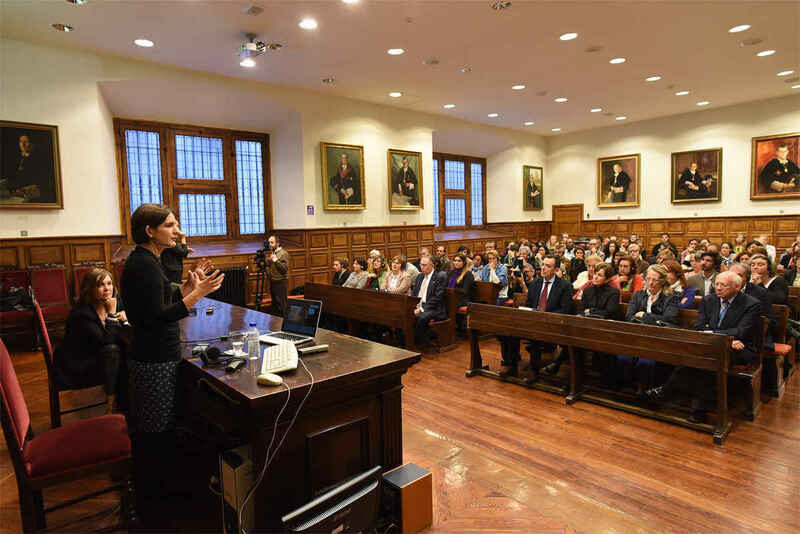 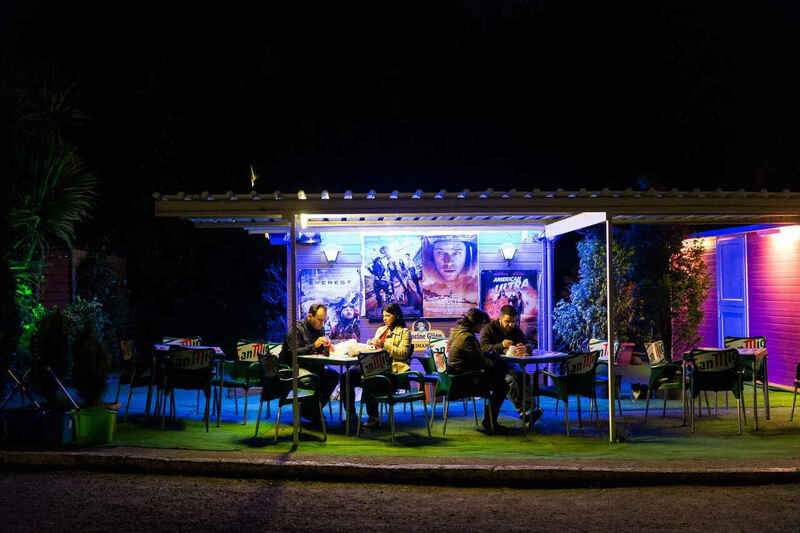 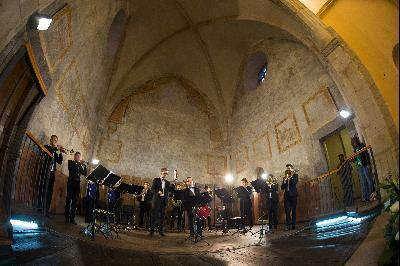 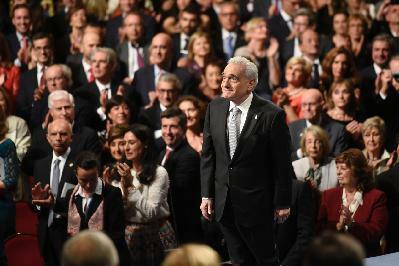 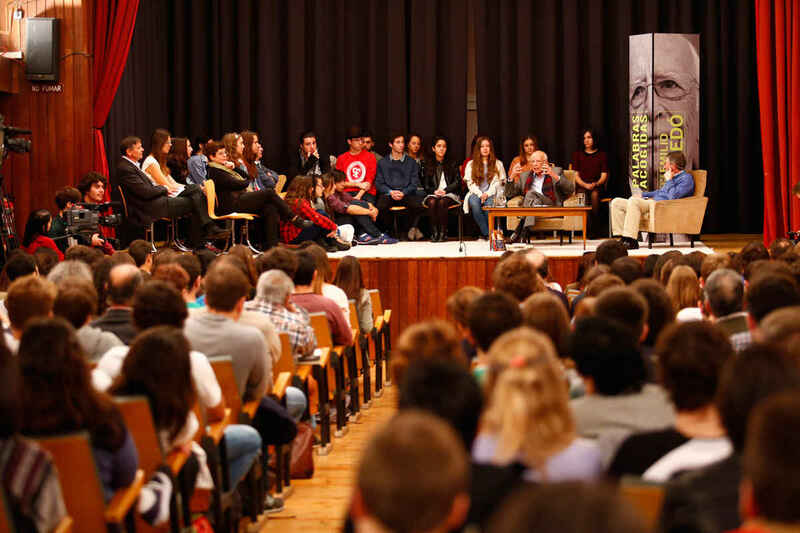 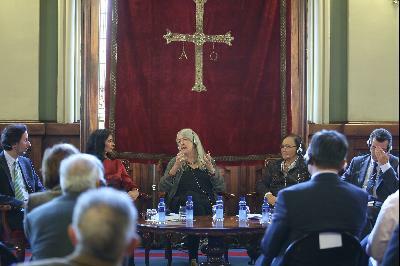 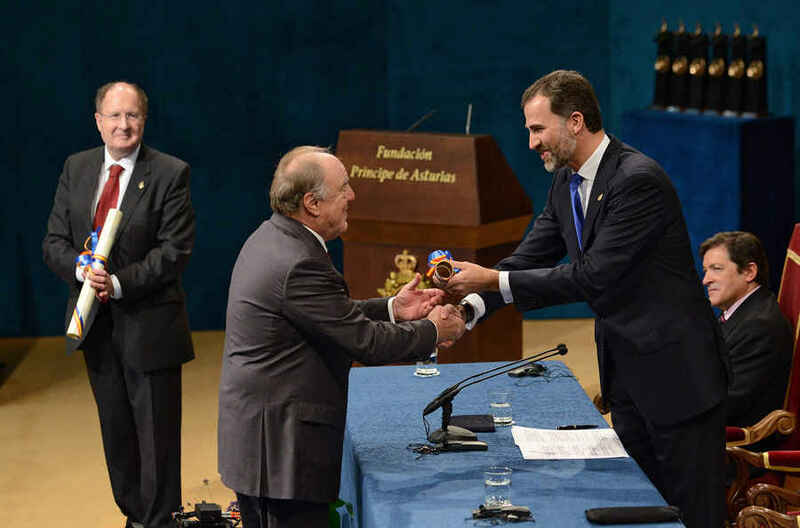 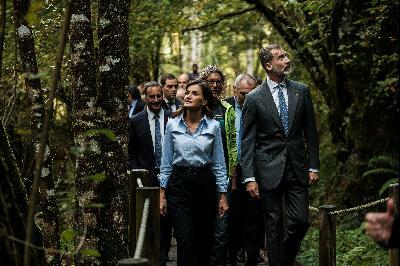 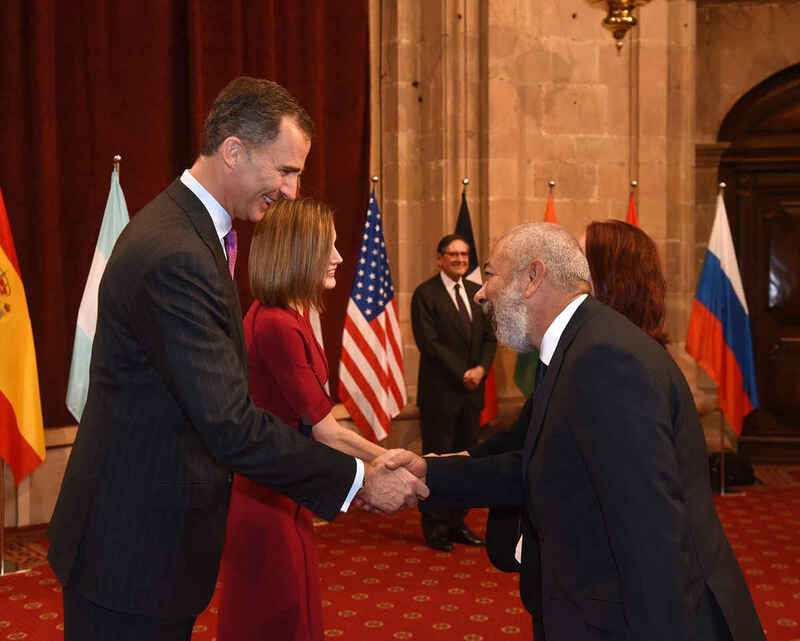 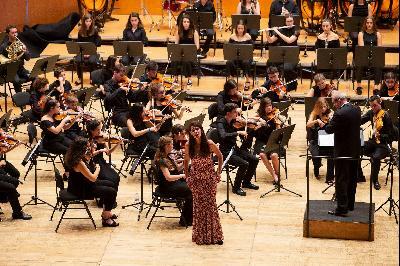 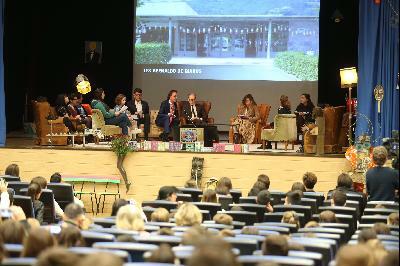 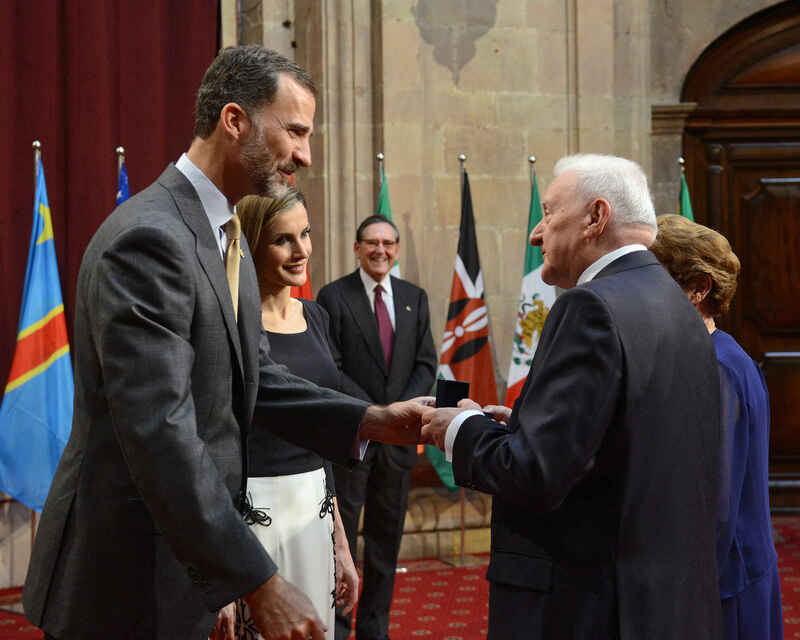 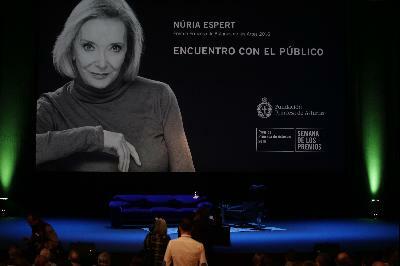 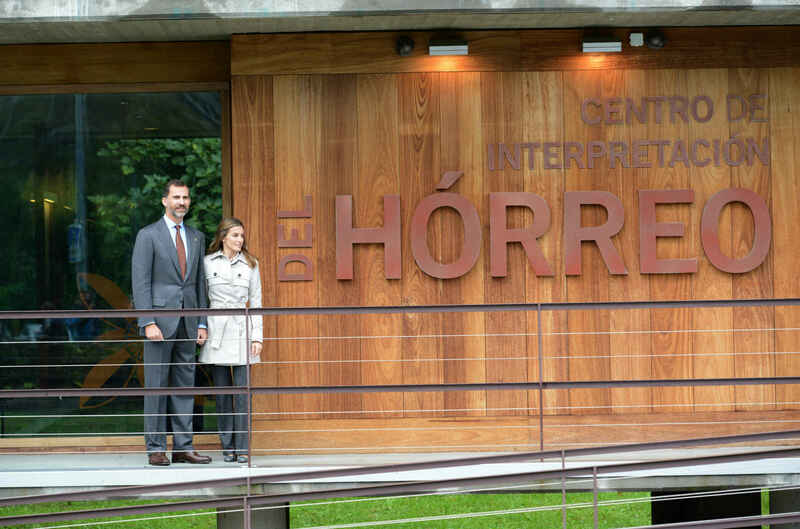 the Prince and Princess of Asturias in the Campoamor Theatre. Presentation Ceremony A moment in the 2011 Prince of Asturias Awards Presentation Ceremony. 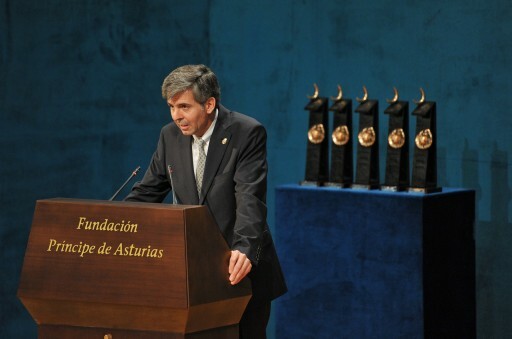 Presentation Ceremony Matías Rodríguez Inciarte, President of the Prince of Asturias Foundation, giving his speech in the Presentation Ceremony. 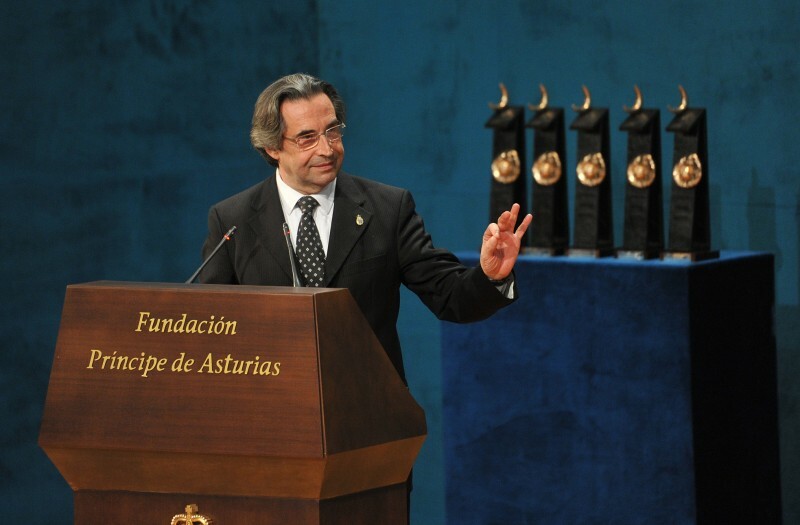 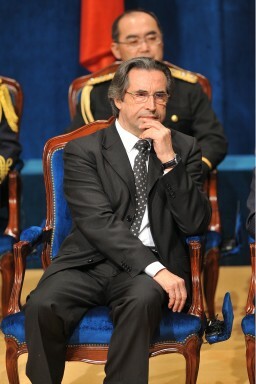 Presentation Ceremony Riccardo Muti, Prince of Asturias Award for the Arts, during the Ceremony. Presentation Ceremony Leonard Cohen giving his speech during the Presentation Ceremony. 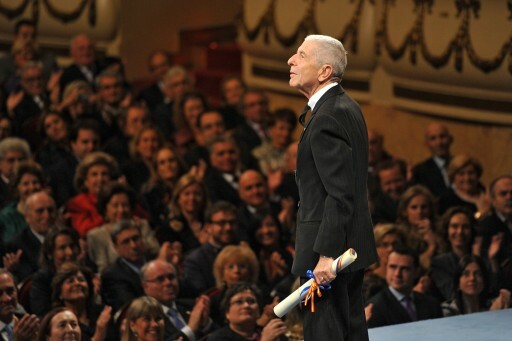 Presentation Ceremony Leonard Cohen receiving the applauses of the other Laureates. 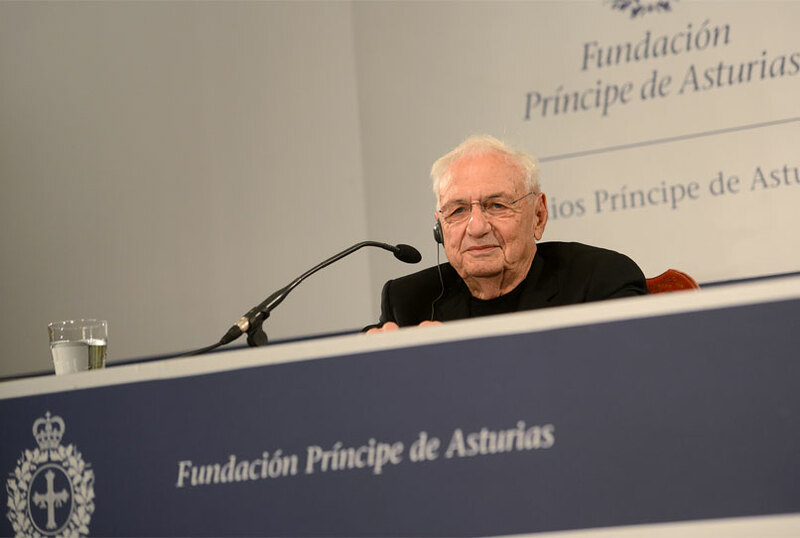 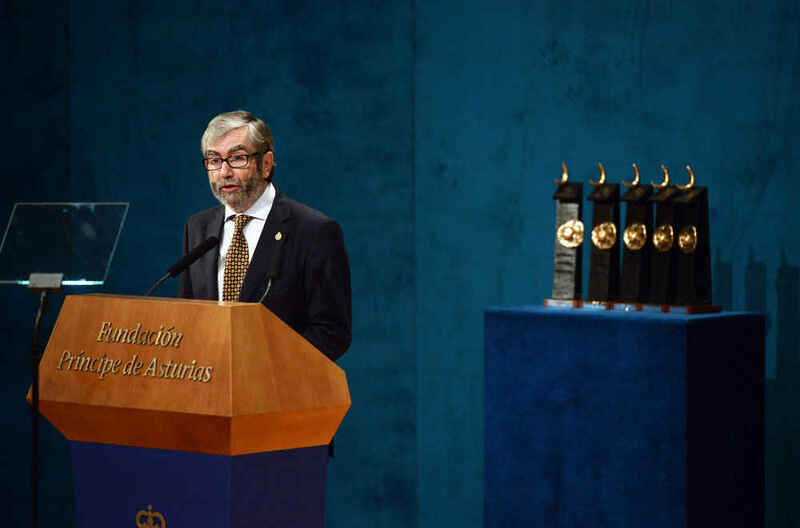 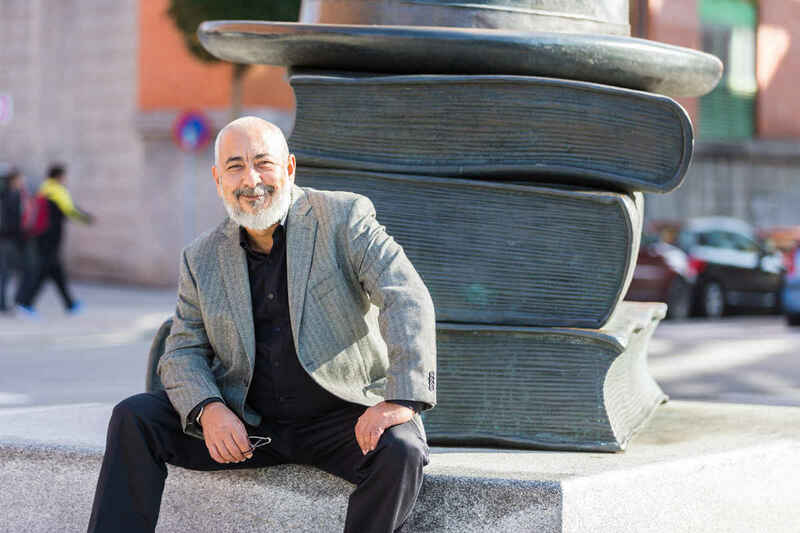 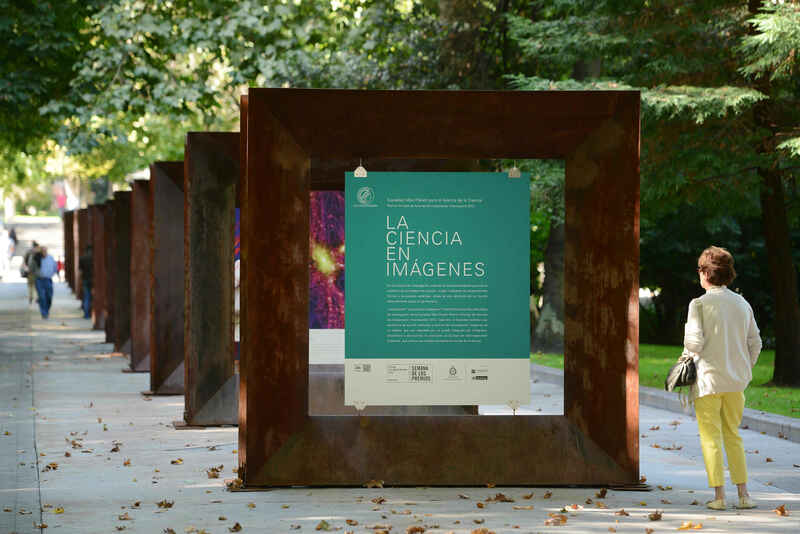 Presentation Ceremony Arturo Álvarez-Buylla, Prince of Asturias Award for Technical and Scientific Research, giving his speech in the Campoamor Theatre. 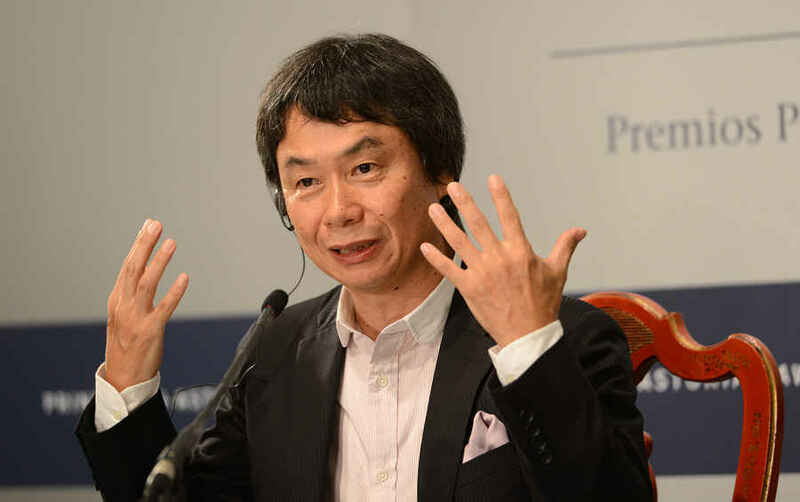 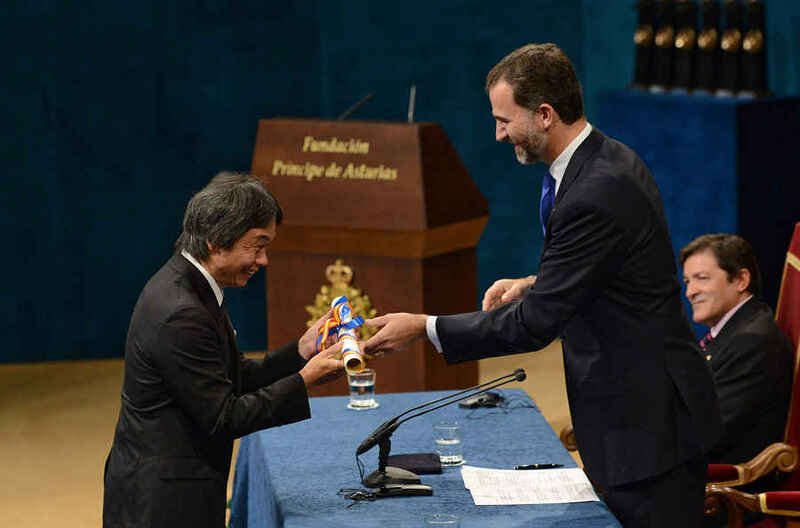 Presentation Ceremony Toyohiko Tomioka, one of the members of the "Heroes of Fukushima" delegation, expressing their thanks in the Campoamor Theatre. 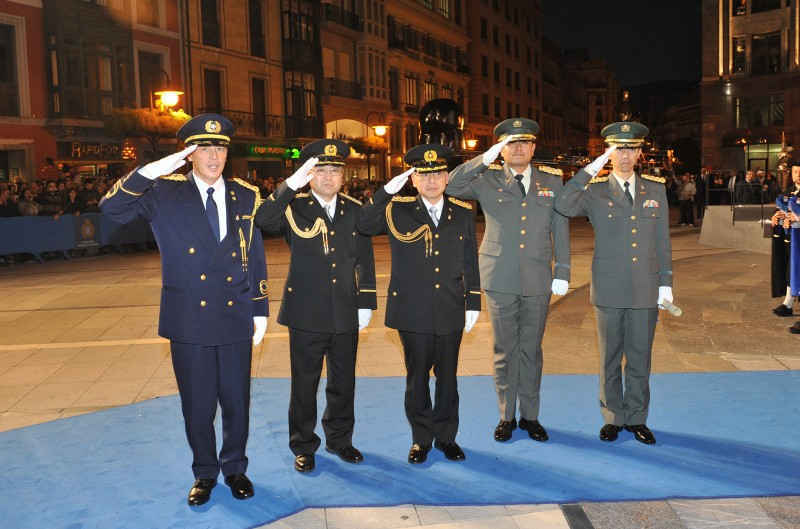 Presentation Ceremony The "Heroes of Fukushima" delegation on leaving the Campoamor Theatre after the Award Presentation Ceremony. 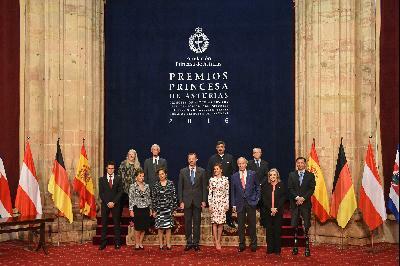 Presentation Ceremony H.M. the Queen and T.R.H. 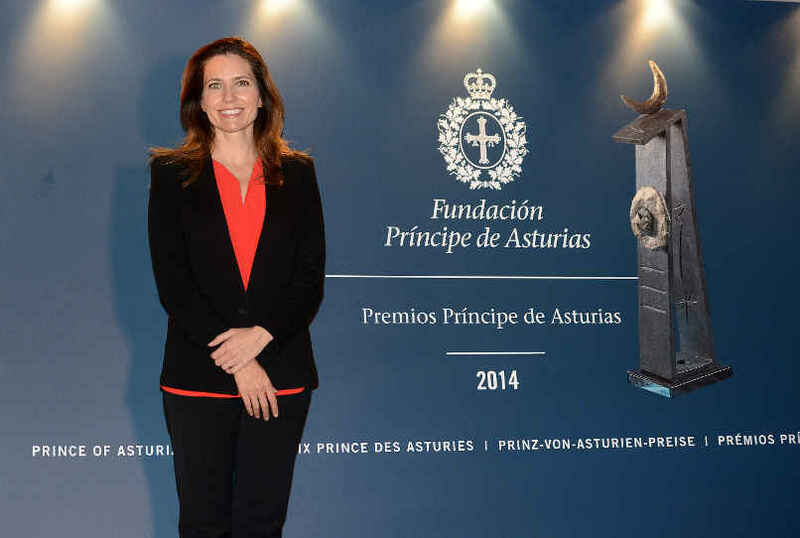 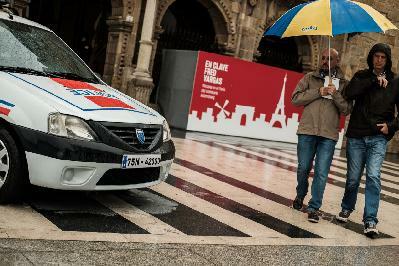 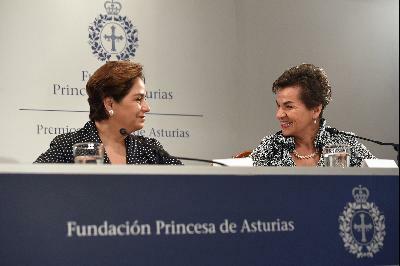 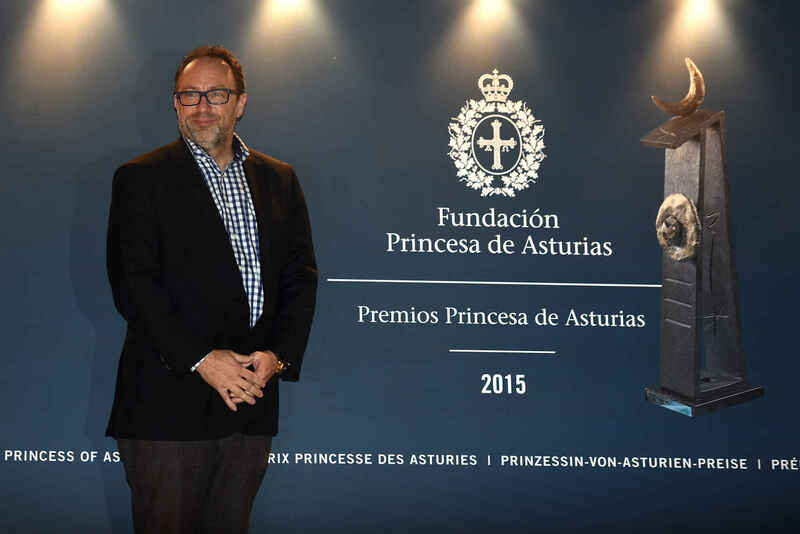 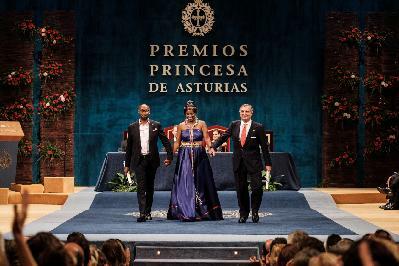 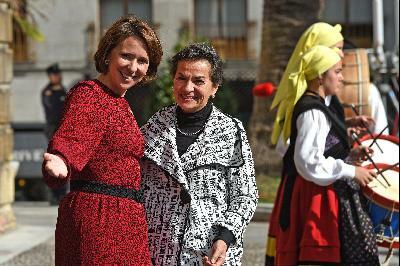 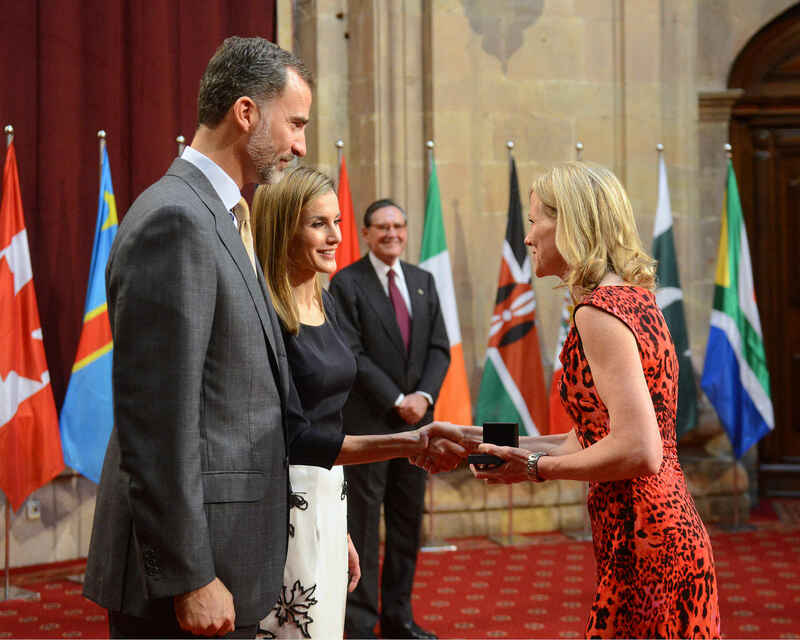 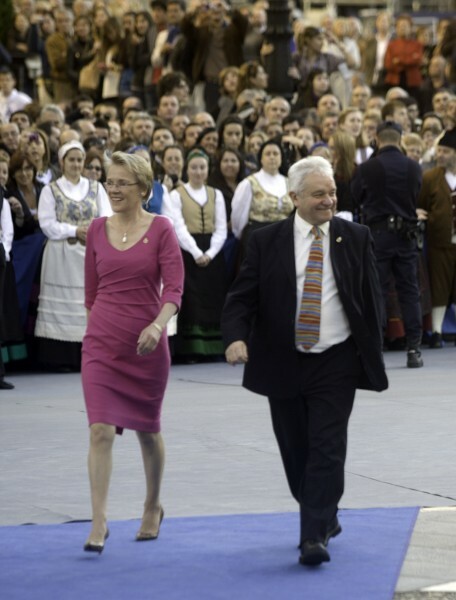 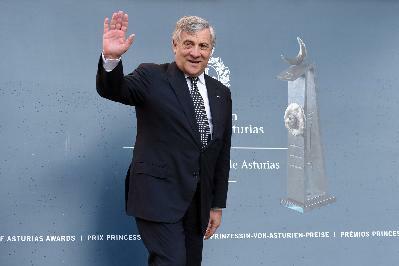 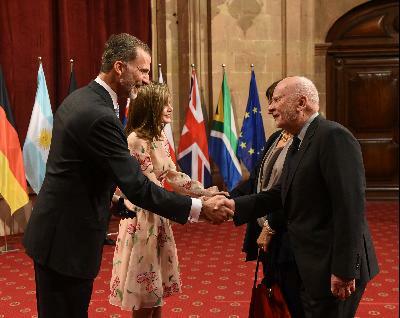 the Prince and Princess Asturias leaving the Award Presentation Ceremony at the Campoamor Theatre. 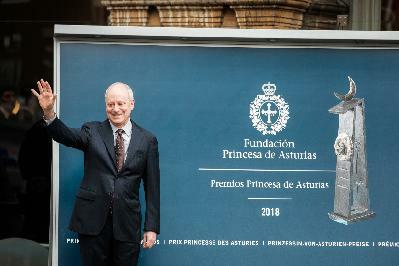 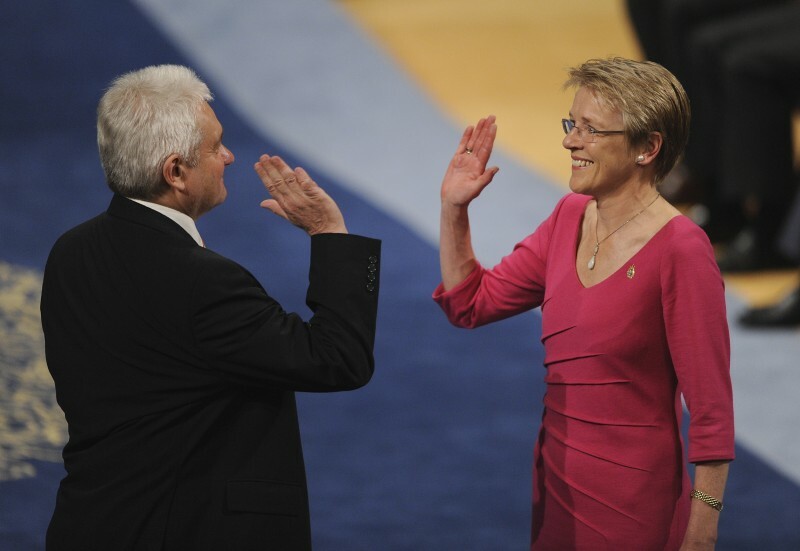 Presentation Ceremony Sir Paul Nurse and Julie Maxton, President and Executive Director of The Royal Society, after receiving the Prince of Asturias Award for Communication and Humanities. Presentation Ceremony Riccardo Muti, Prince of Asturias Award for Arts, after receiving the Award. 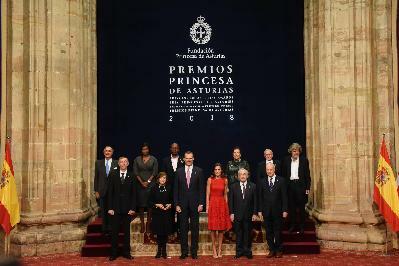 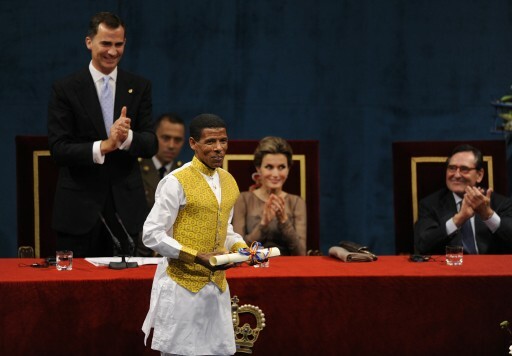 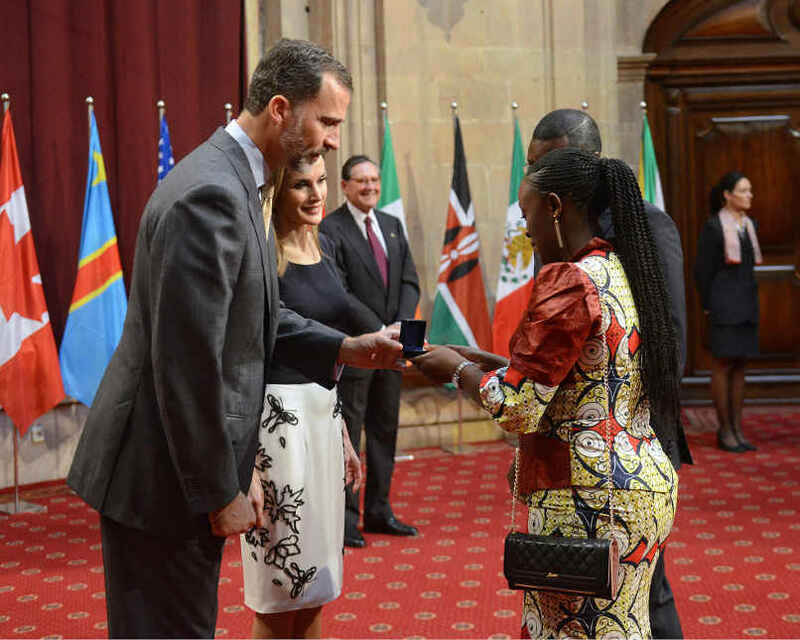 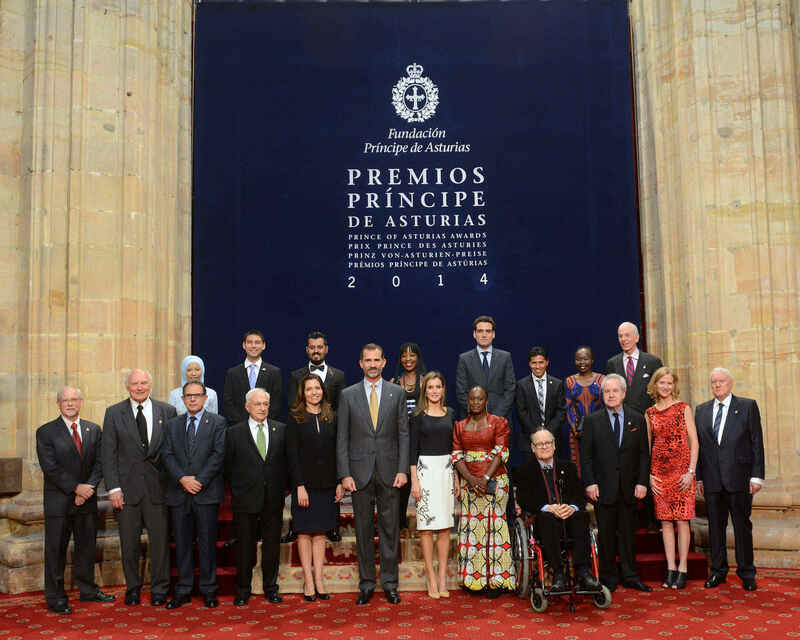 Presentation Ceremony Haile Gebrselassie, Prince of Asturias Award for Sports, after receiving his award from H.R.H. 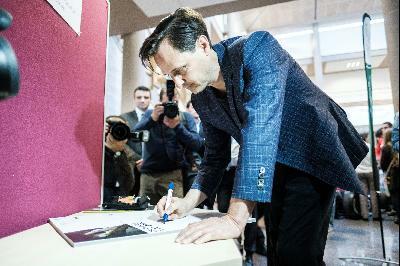 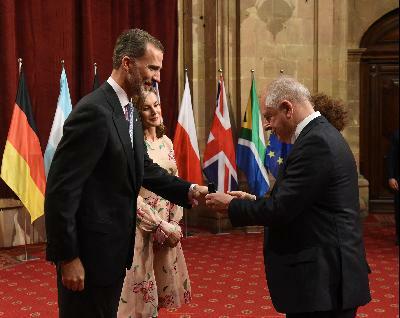 Prince Felipe. 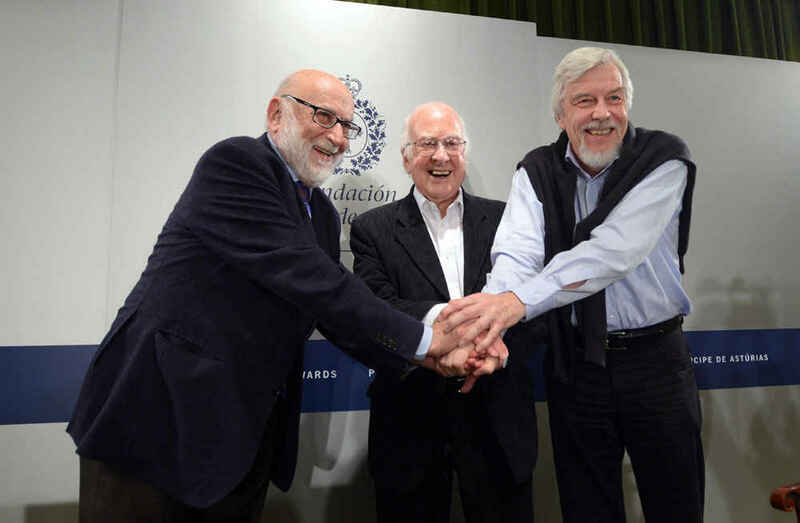 Presentation Ceremony Joseph Altman, Arturo Álvarez-Buylla and Giacomo Rizzolatti, Prince of Asturias Award for Technical and Scientific Research receiving the Award from H.R.H. 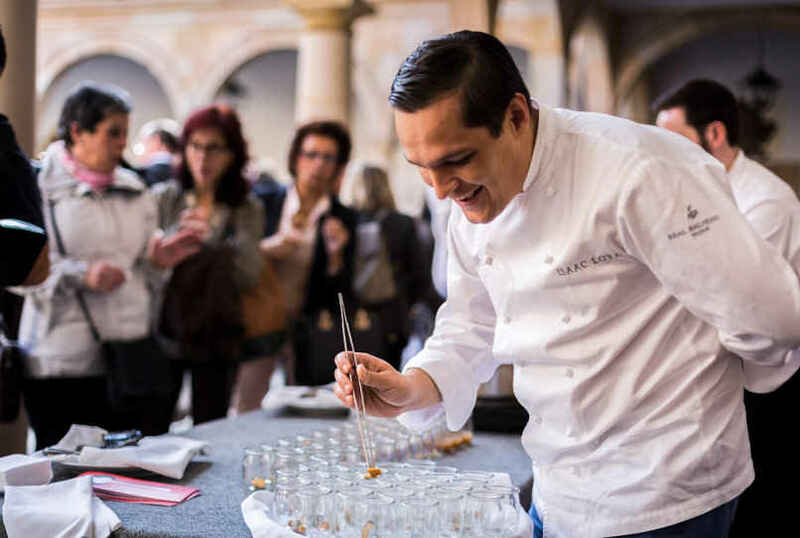 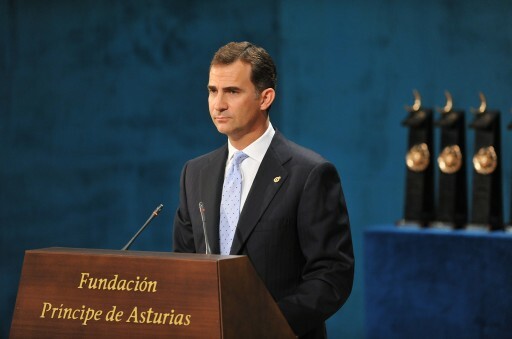 Prince Felipe. 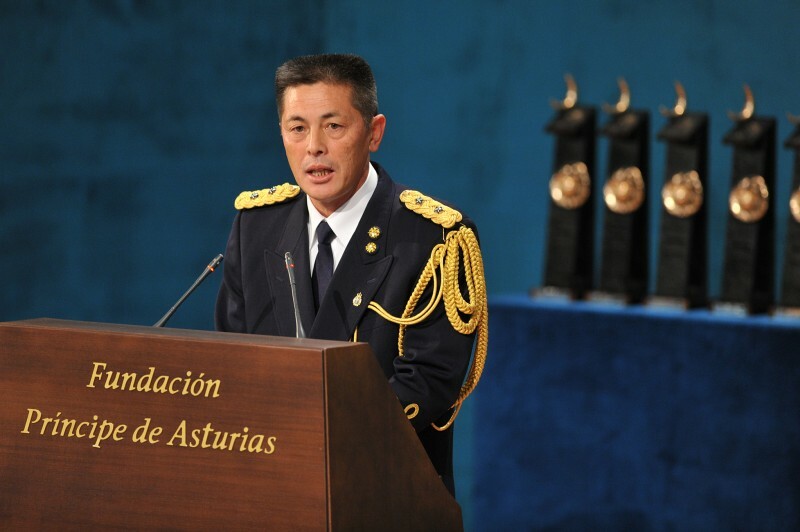 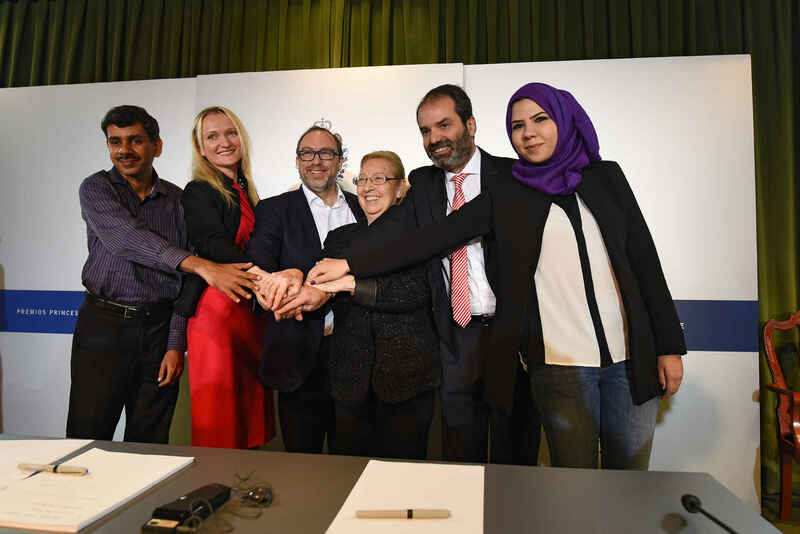 Presentation Ceremony The representatives of the "Heroes of Fukushima" after receiving the Prince of Asturias Award for Concord in the Campoamor Theatre. 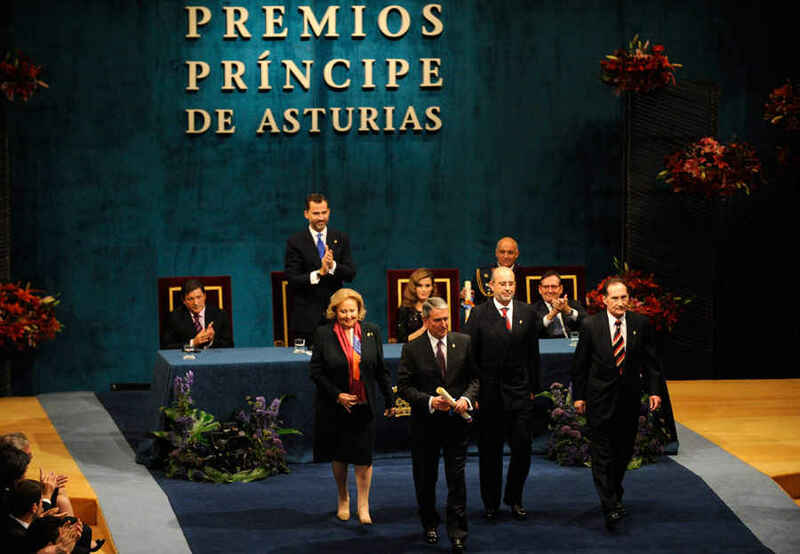 Presentation Ceremony H.R.H. 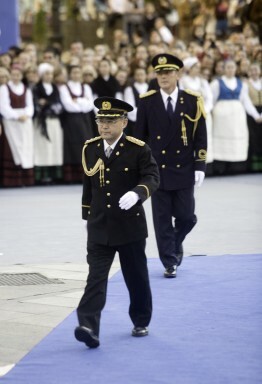 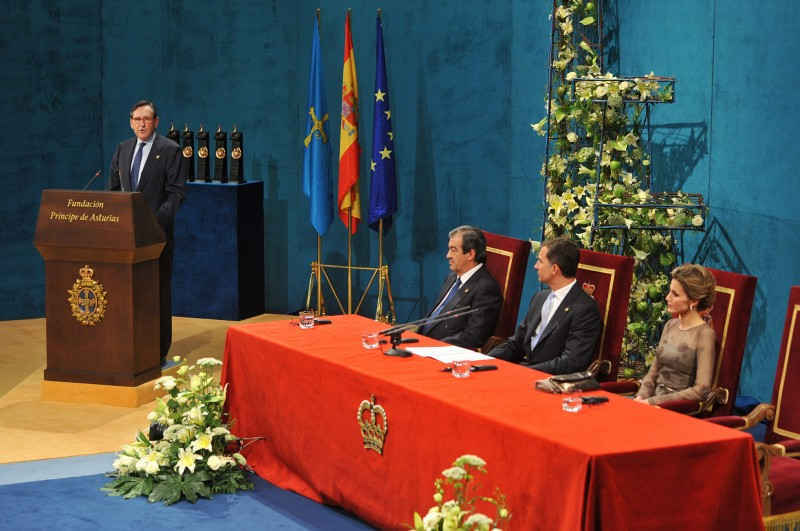 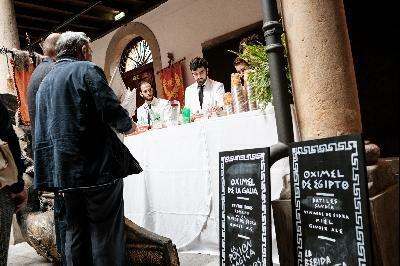 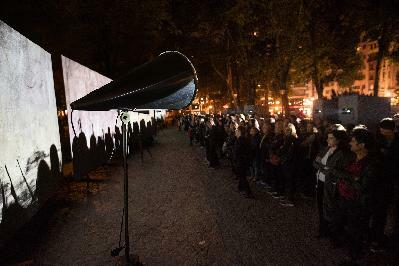 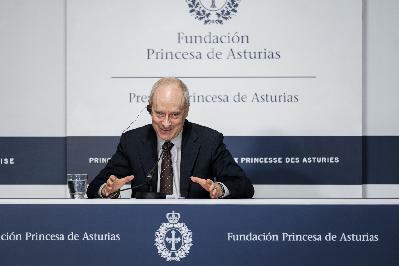 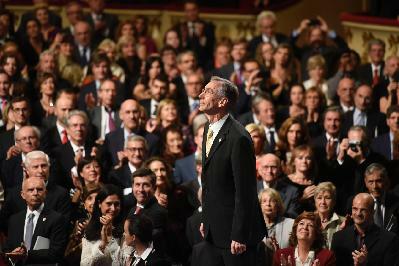 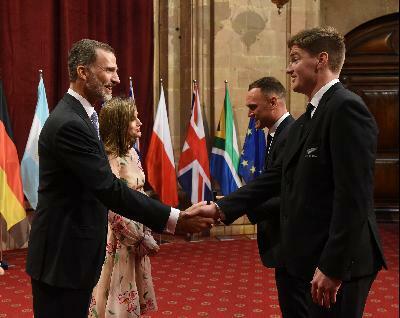 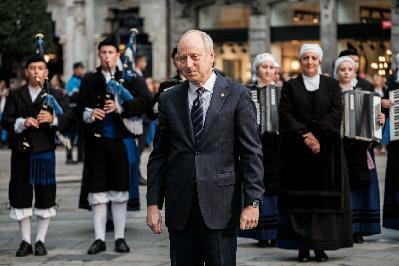 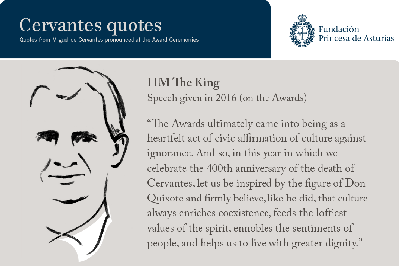 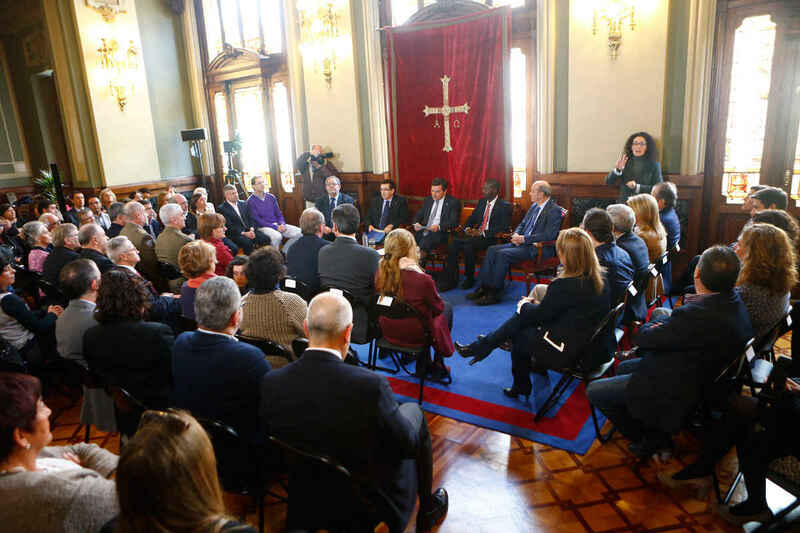 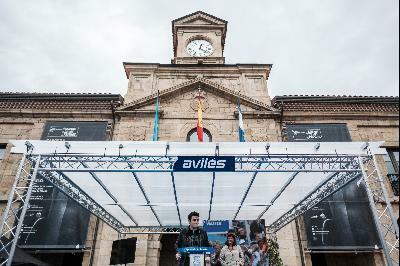 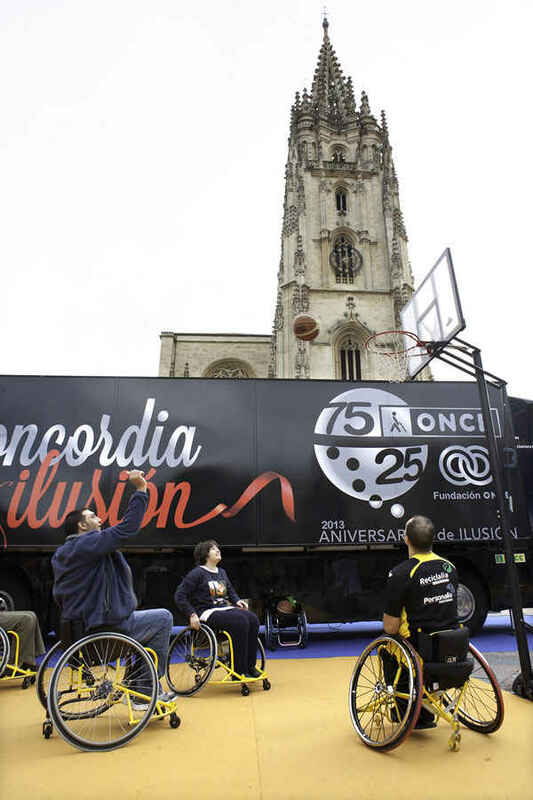 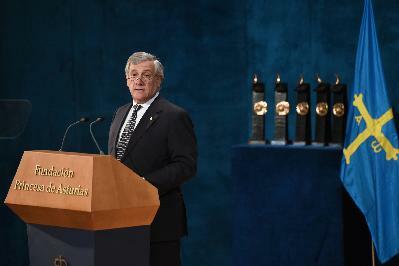 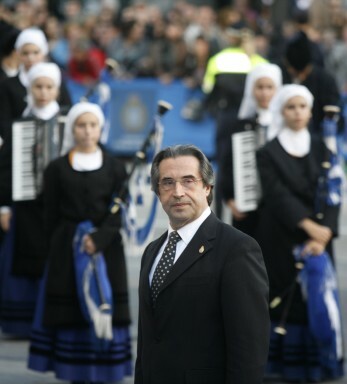 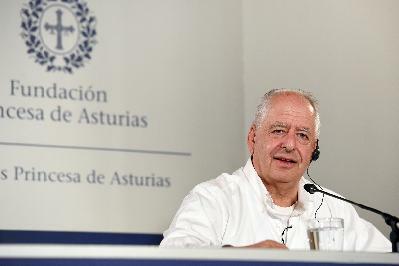 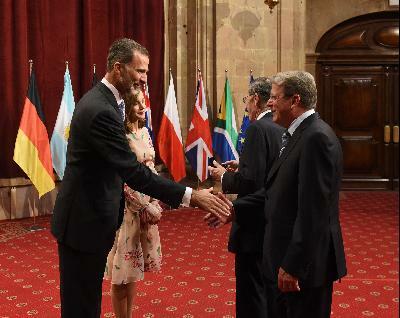 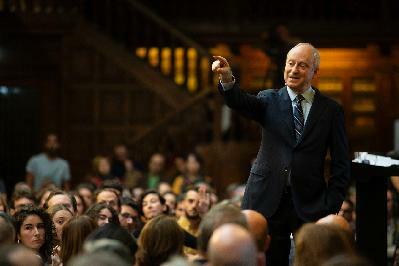 the Prince of Asturias during his speech in the Presentation Ceremony. Presentation Ceremony Riccardo Muti, 2011 Prince of Asturias Award for the Arts, addressing the audience during the Presentation Ceremony.